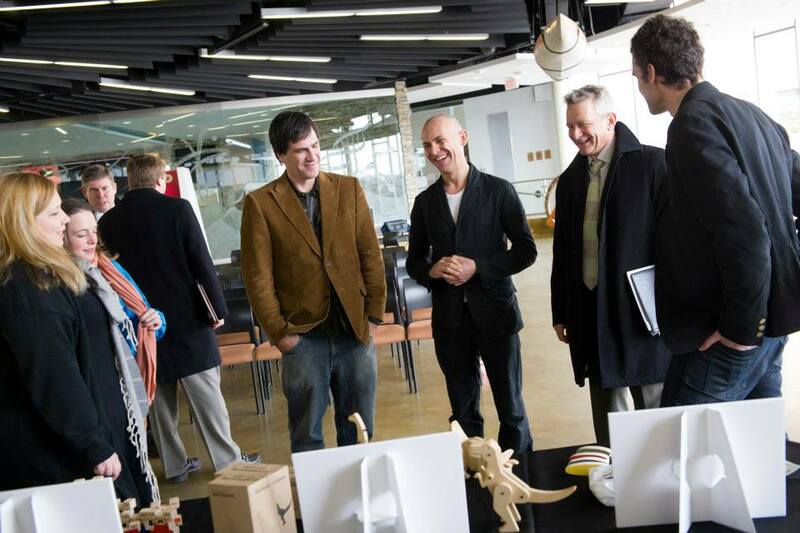 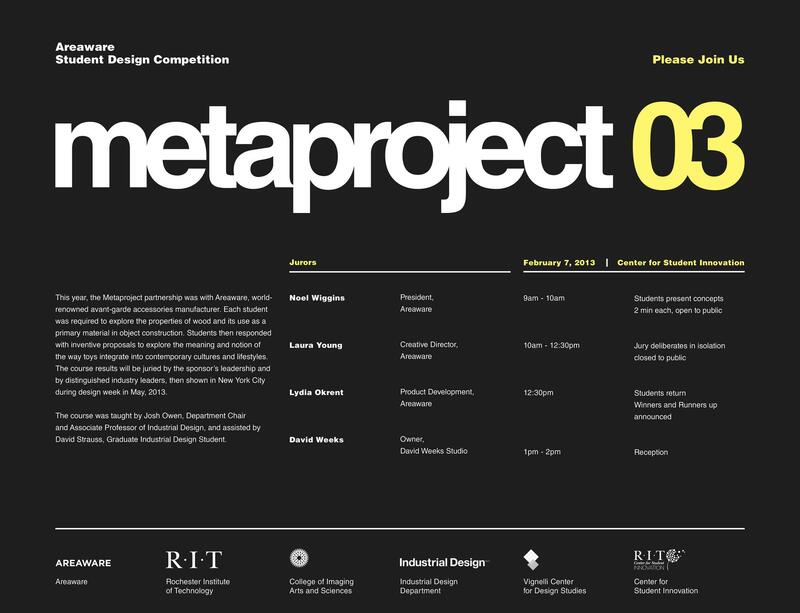 The term “Metaproject” is designed to be used as a thematic umbrella referring to an industry partnership which places the student output into a global venue, thereby opening up a transformative platform for the industrial design program and by proxy, the School of Design and RIT. 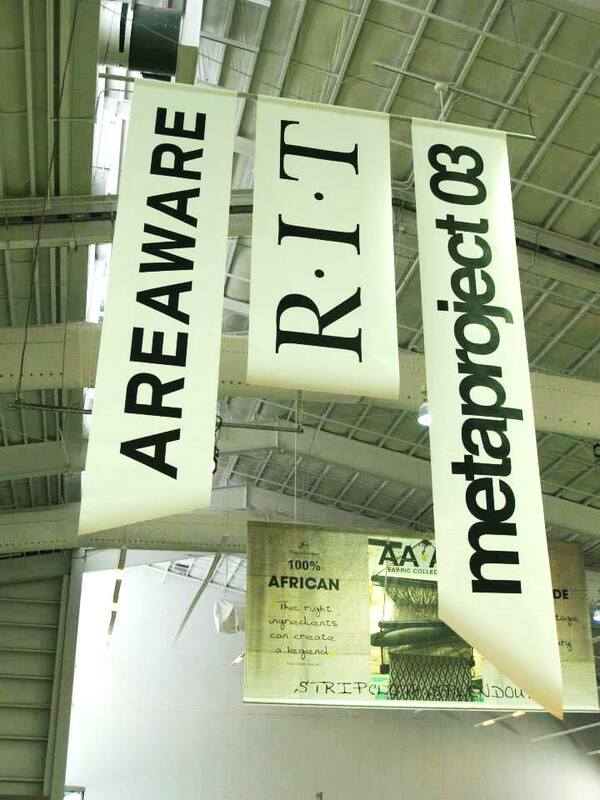 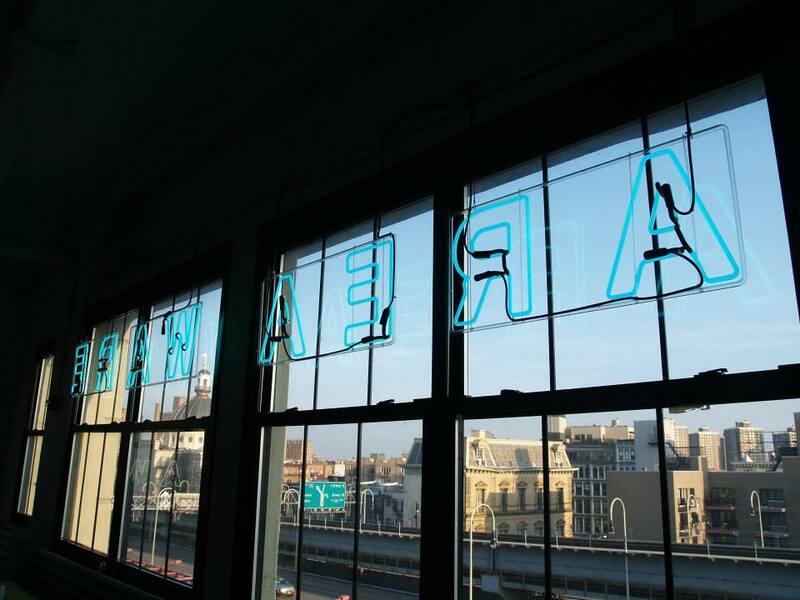 In the case of Metaproject 03, the partnership is with world-renown avant-garde accessories manufacturer, Areaware and the venue for the student output is the International Contemporary Furniture Fair in New York City. 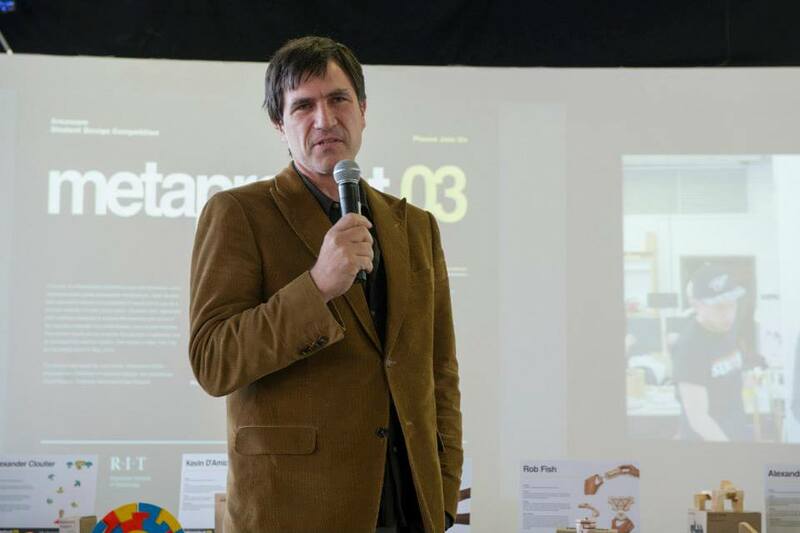 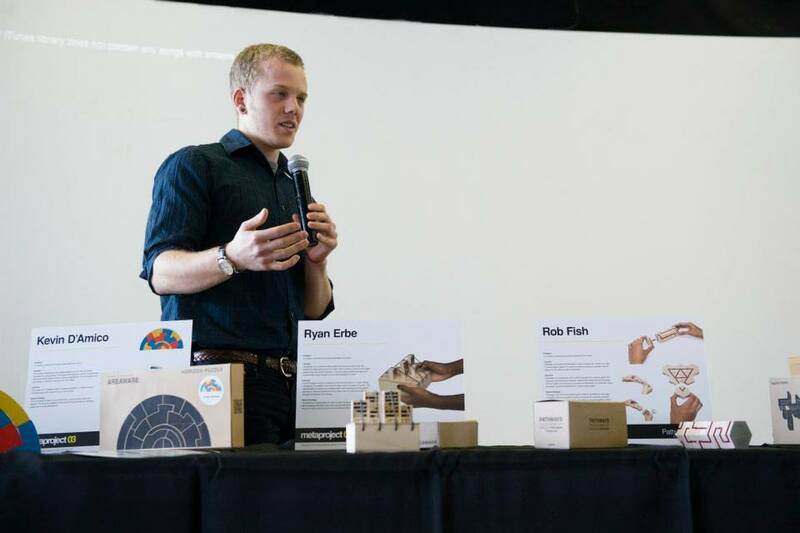 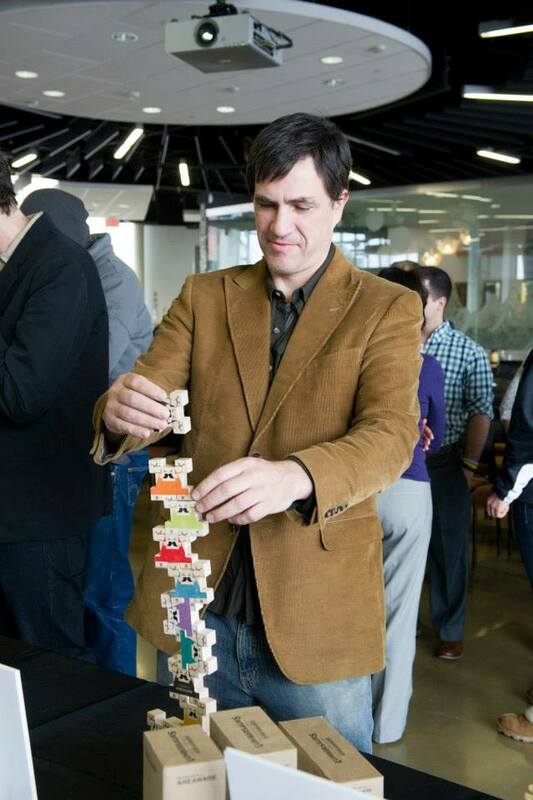 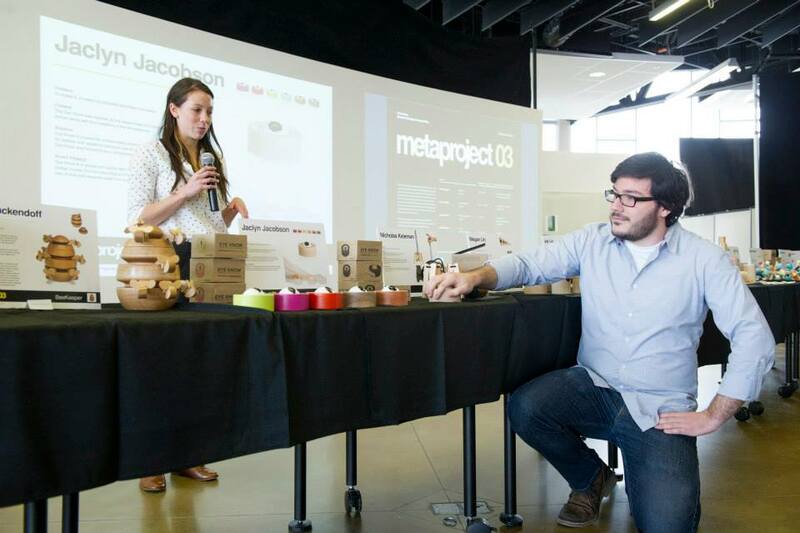 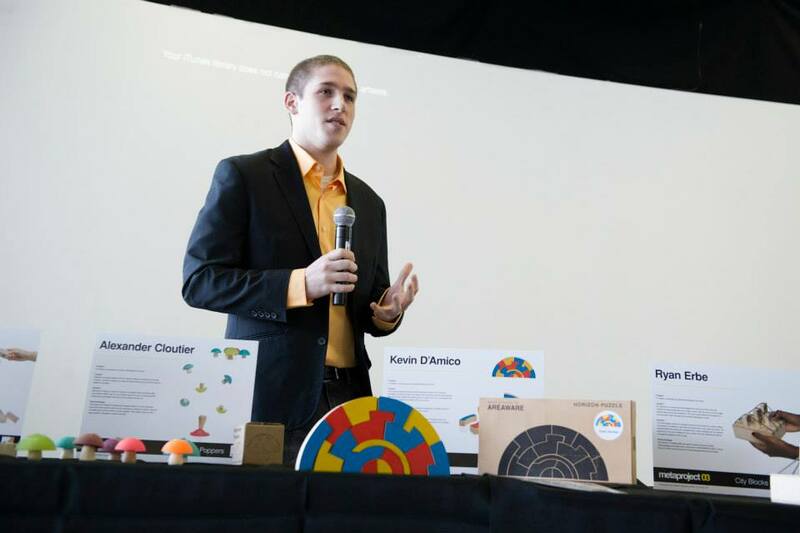 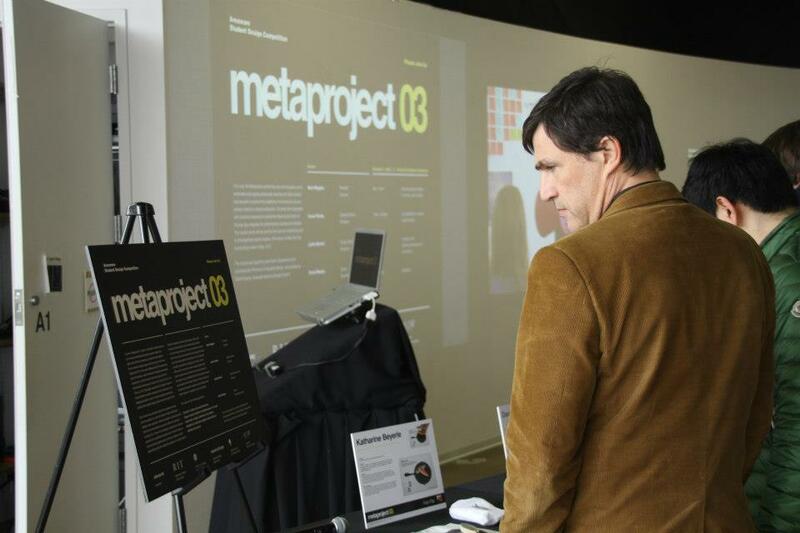 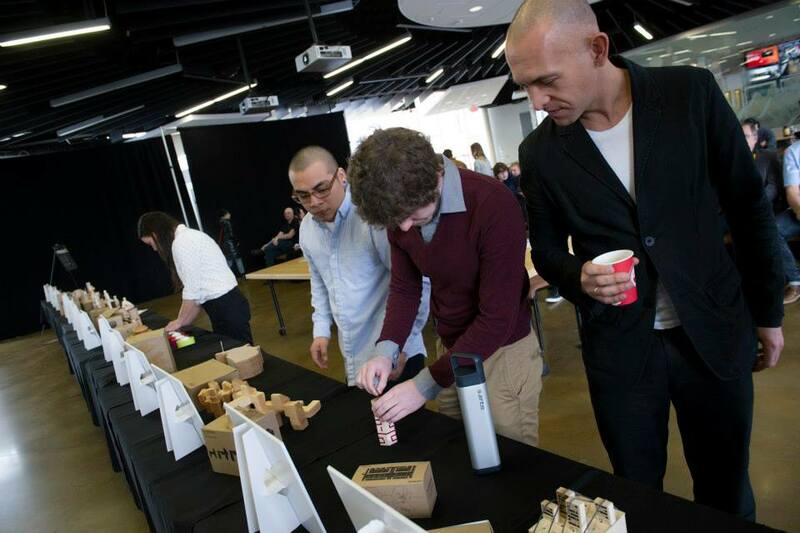 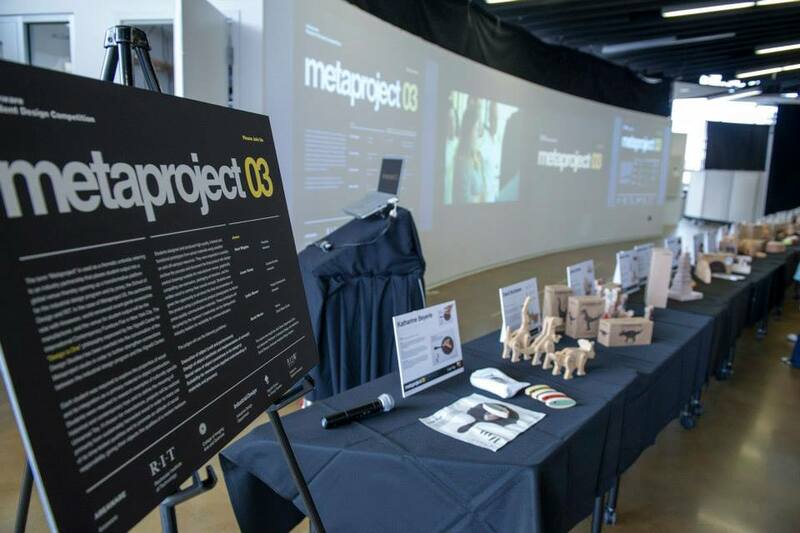 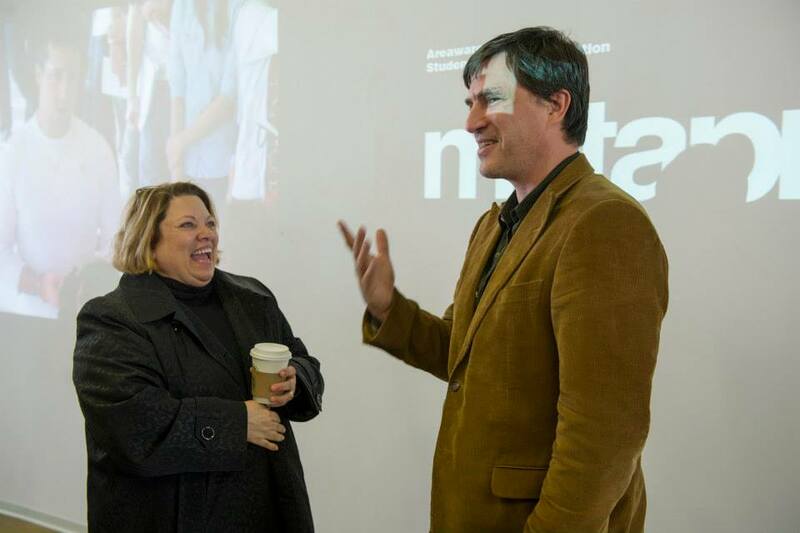 Metaproject was developed by RIT Associate Professor and Industrial Design Department Chair Josh Owen in 2010 as an industrial design course with an industry partnership to place student output into a global venue. 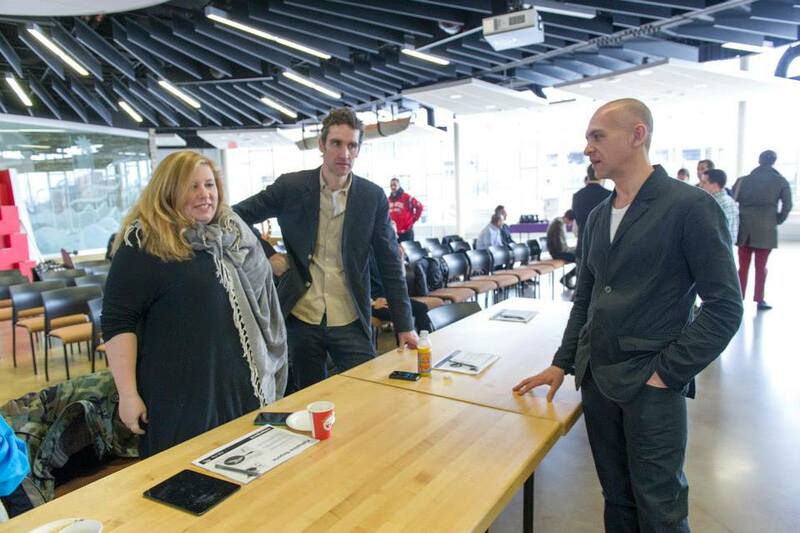 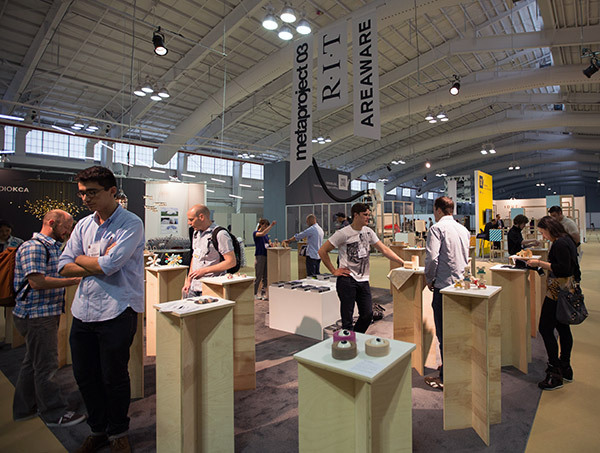 The course also creates an educational platform for the modernist “The “Design is One” philosophy espoused by Massimo and Lella Vignelli, whose archives are housed in the Vignelli Center for Design Studies at RIT, where they are used as teaching tools. 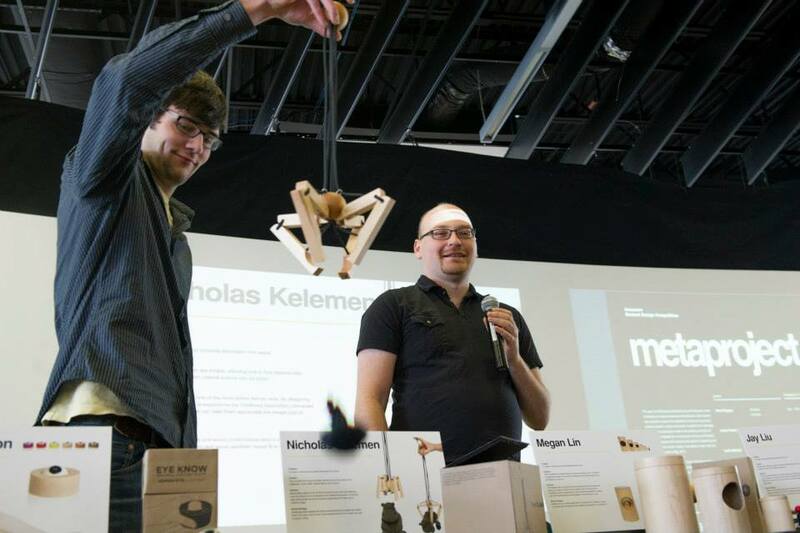 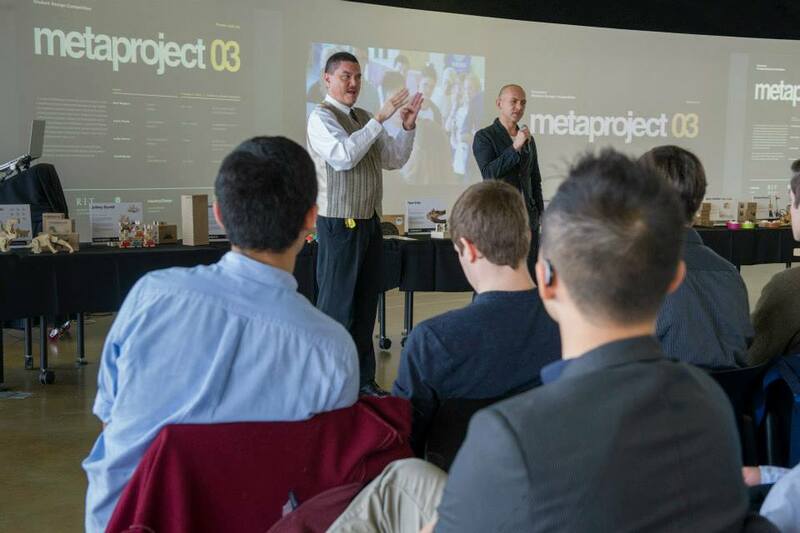 Designer and Rochester Institute of Technology ( RIT ) professor Josh Owen is at is again with his student project Metaproject 03. 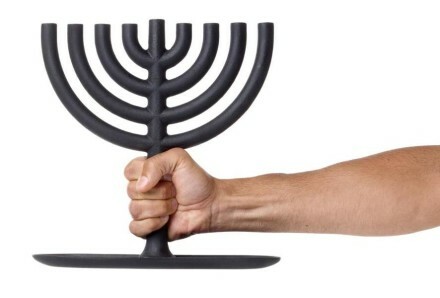 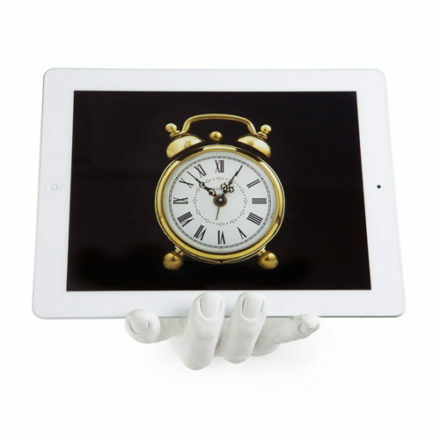 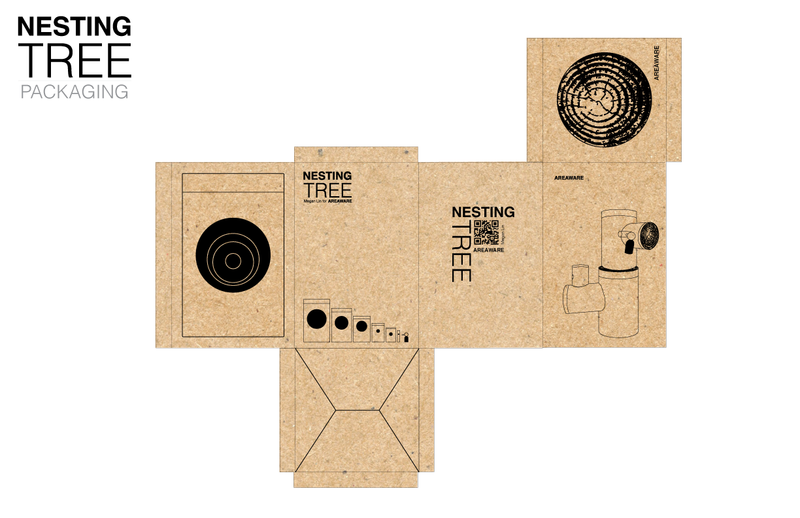 This time around, he has teamed up with AREAWARE, a New York-based company he himself has designed for in the past. 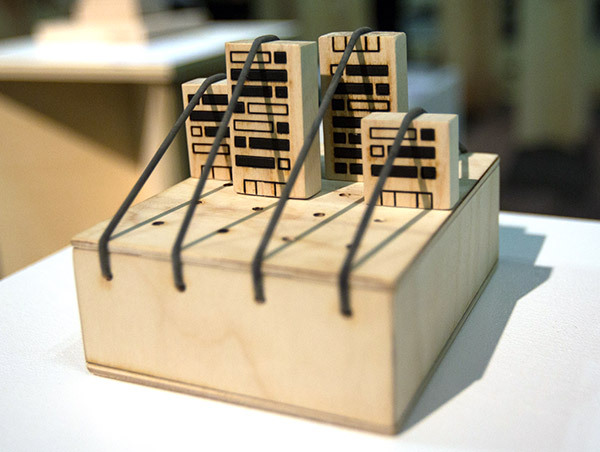 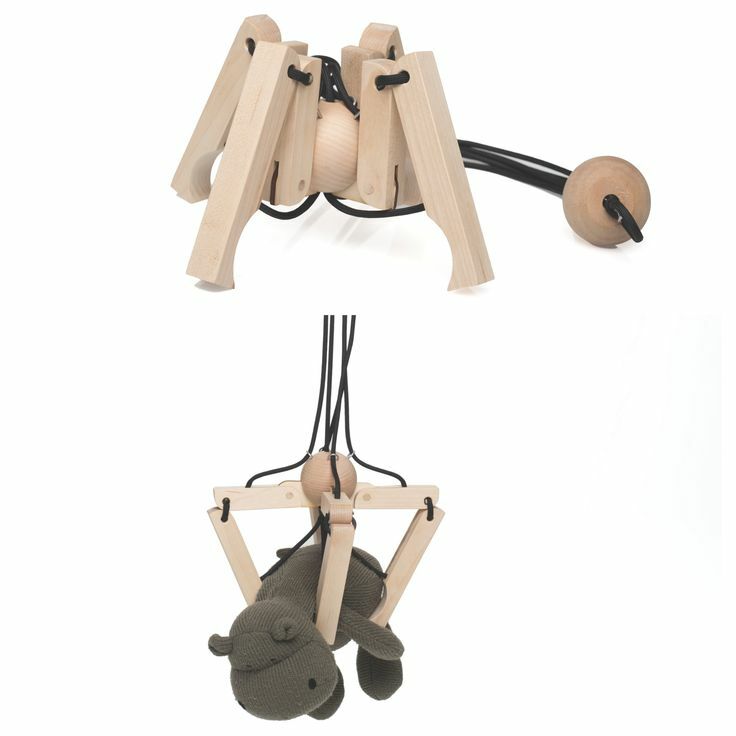 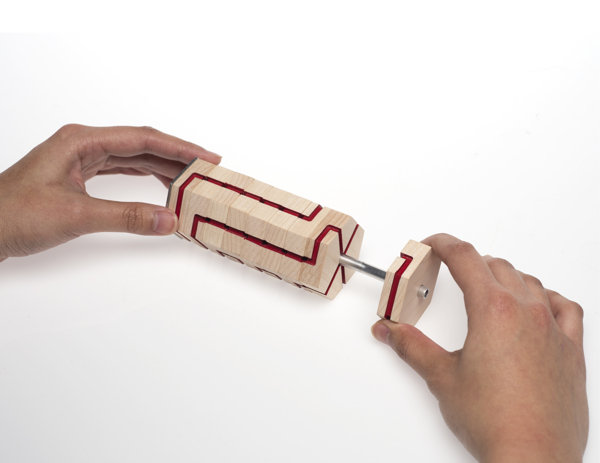 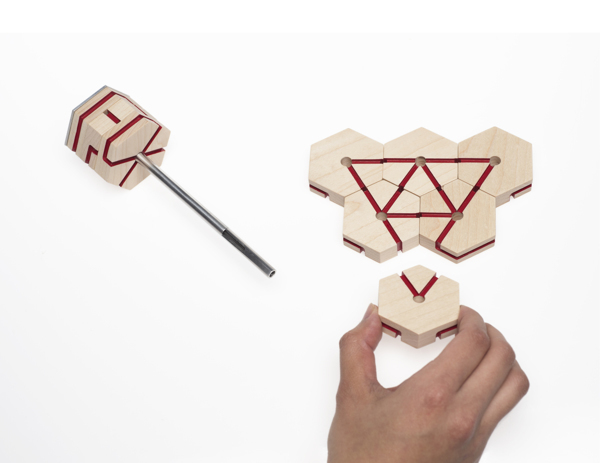 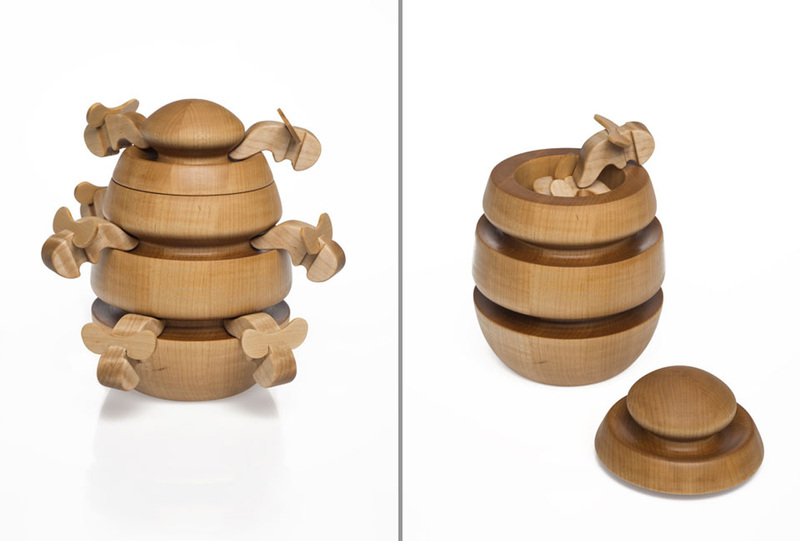 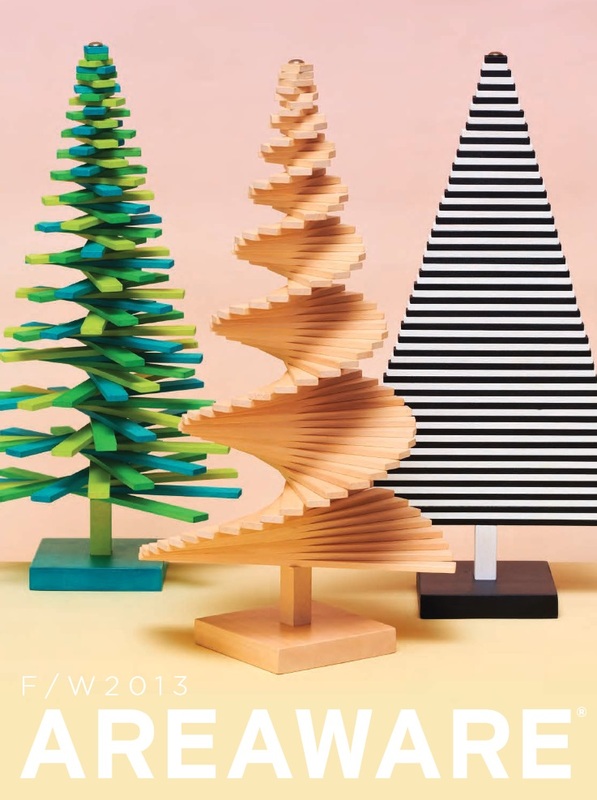 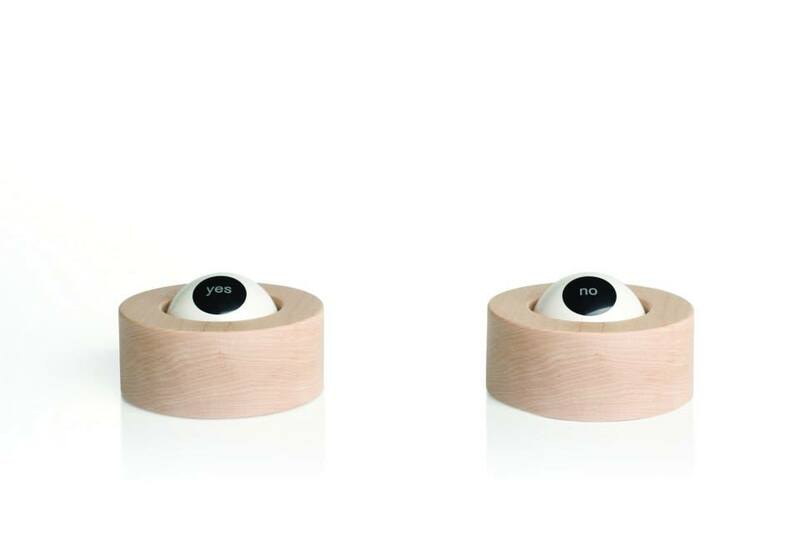 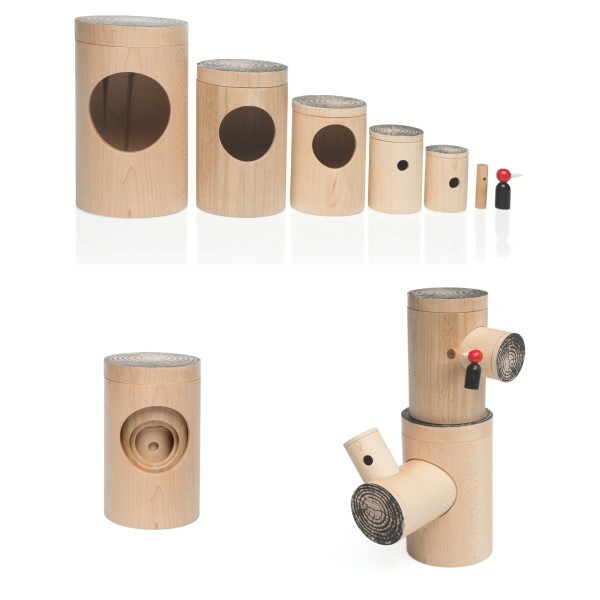 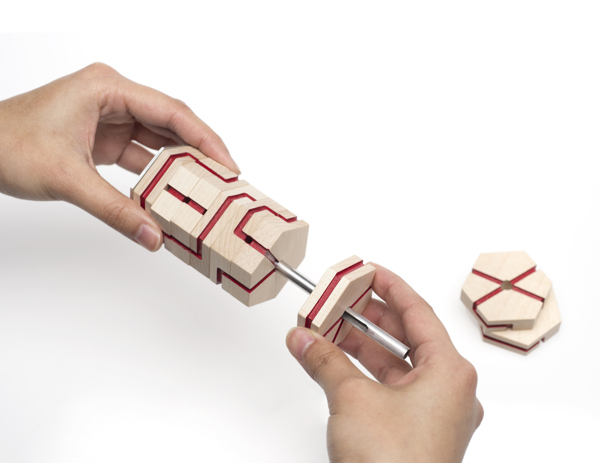 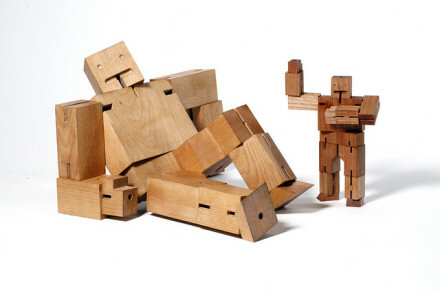 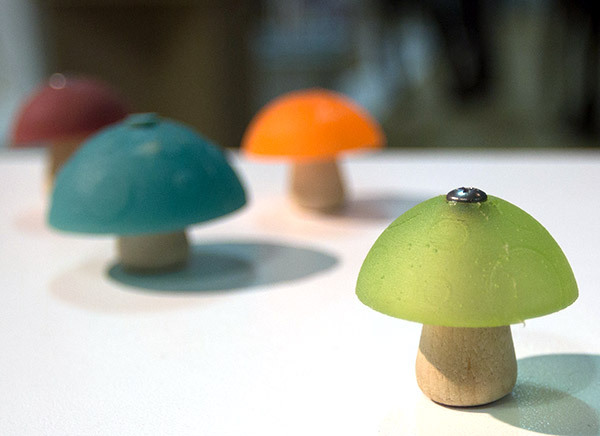 The object of Metaproject 03 was based on toy design with a focus on wood as a material. 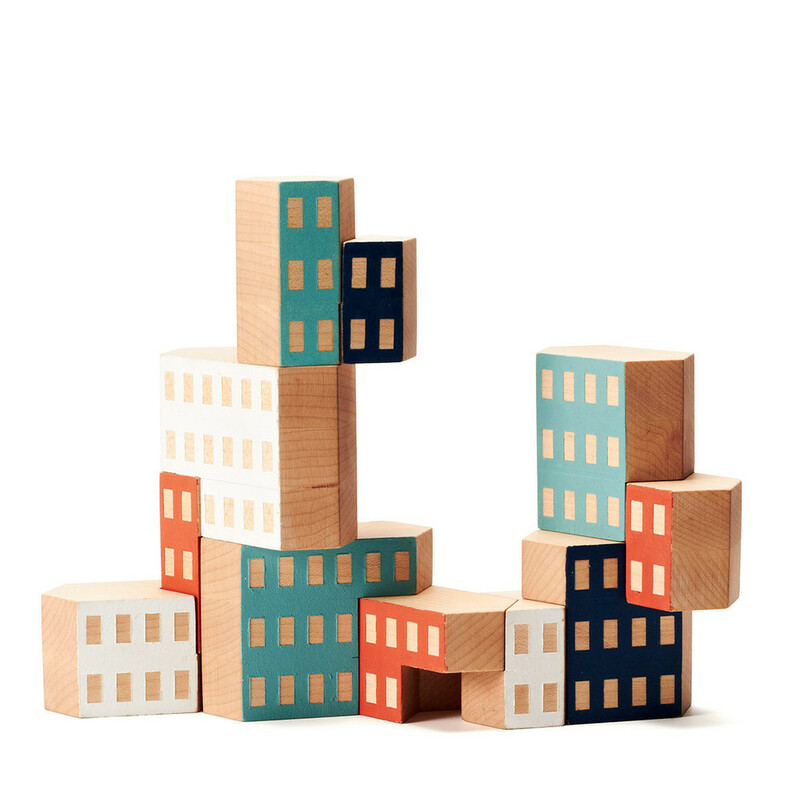 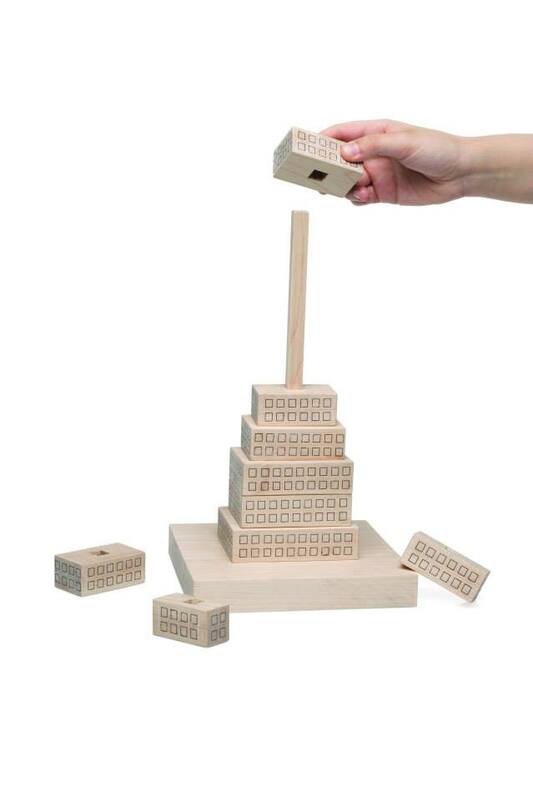 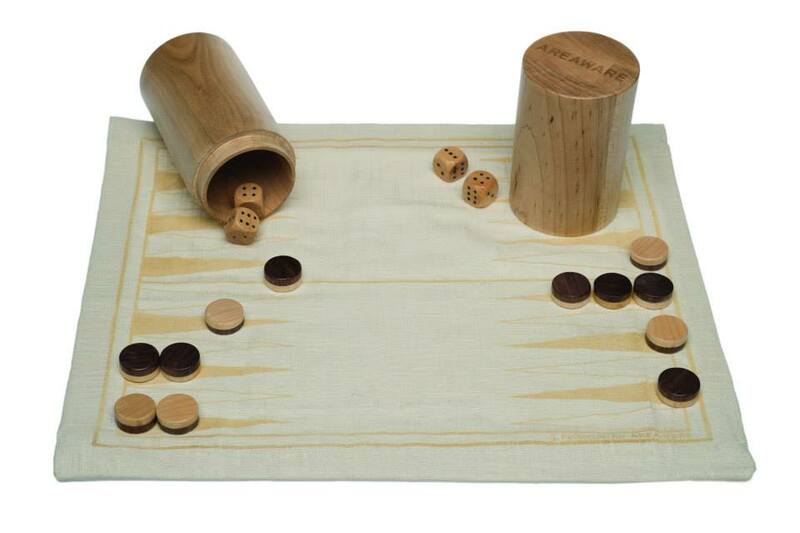 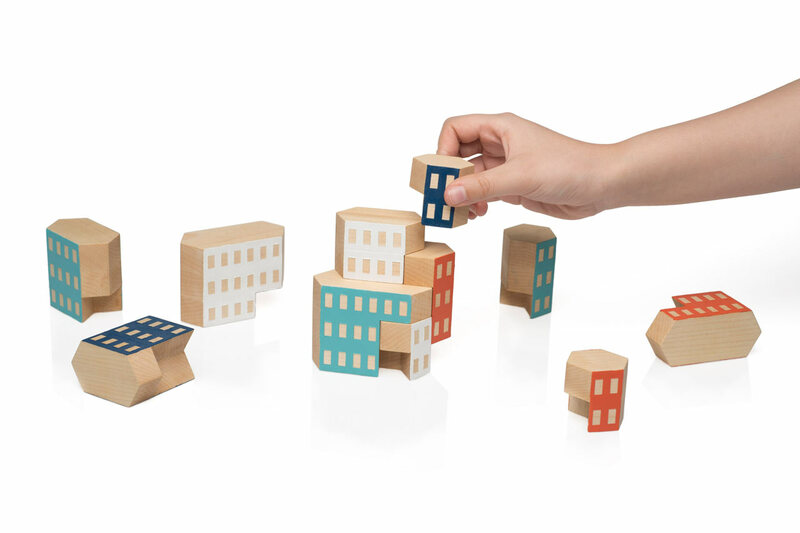 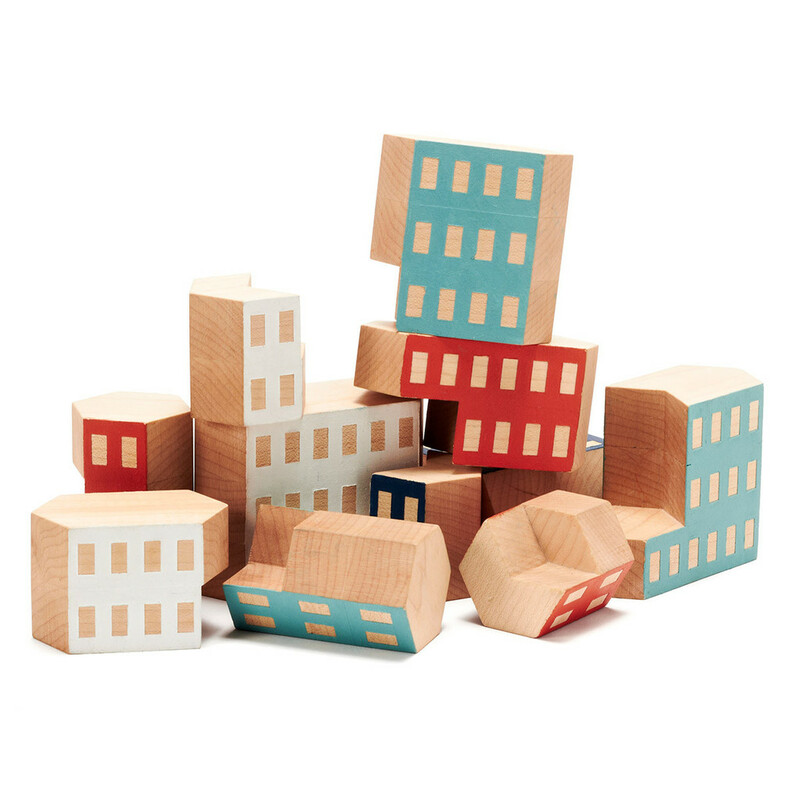 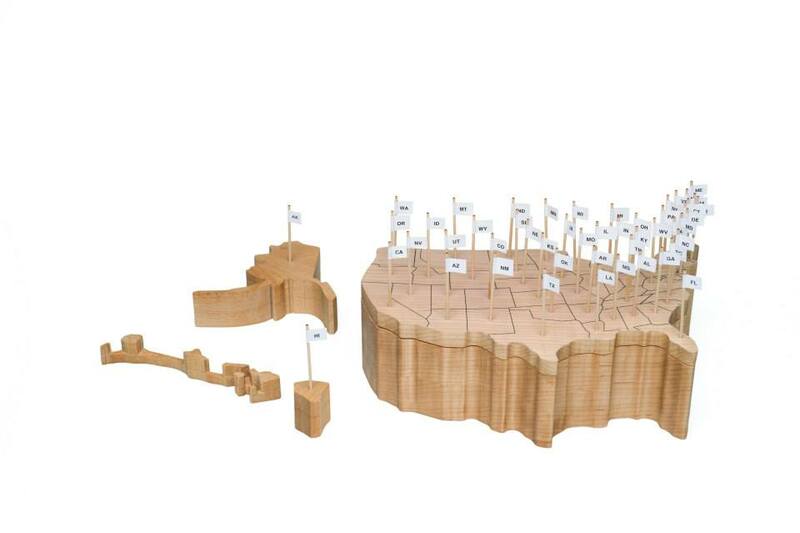 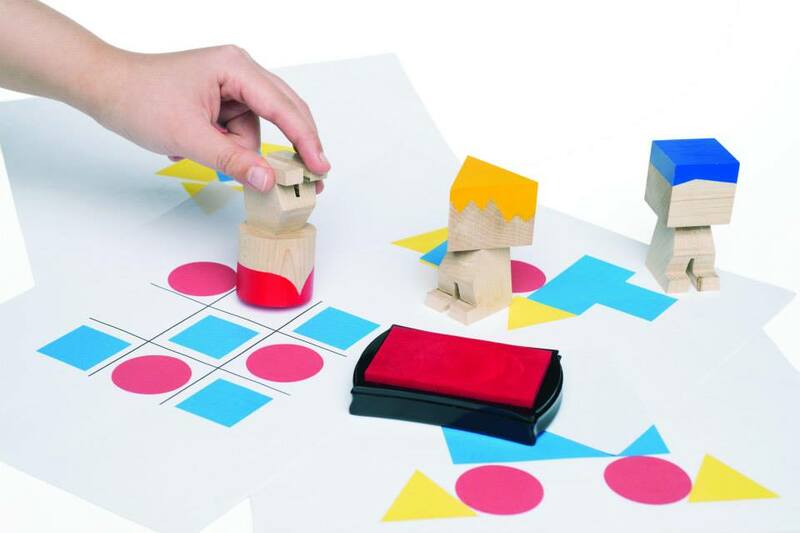 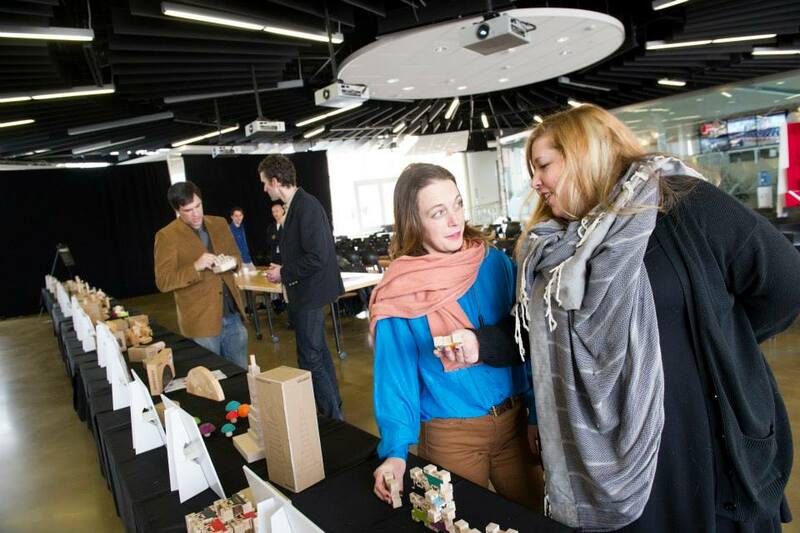 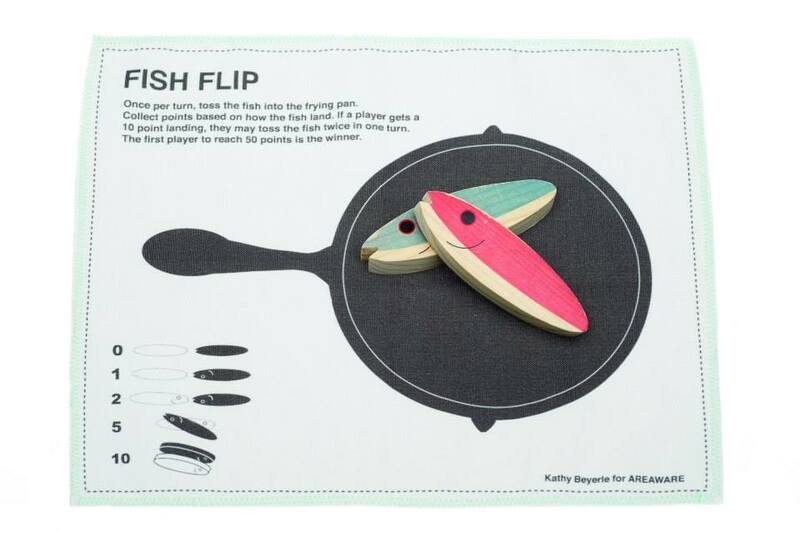 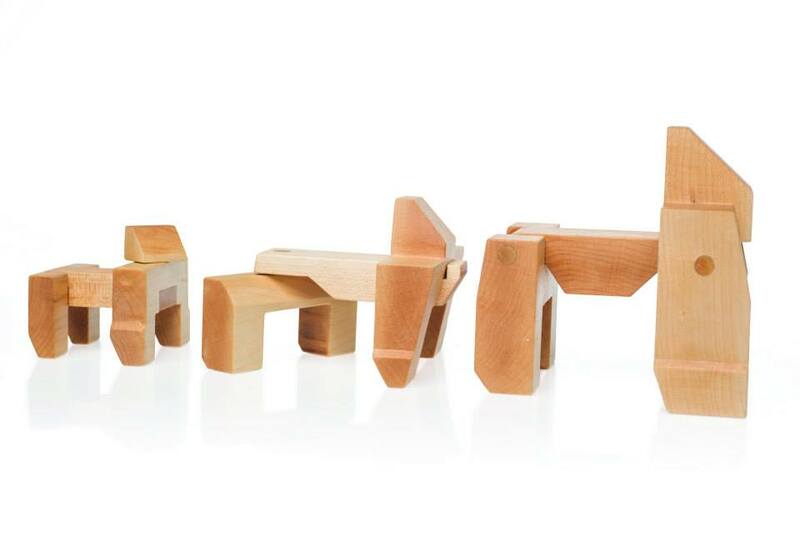 AREAWARE was a perfect choice as a partner due to the modernist leanings found in their wooden toys,” notes RIT associate professor Josh Owen, creator of the Metaproject. 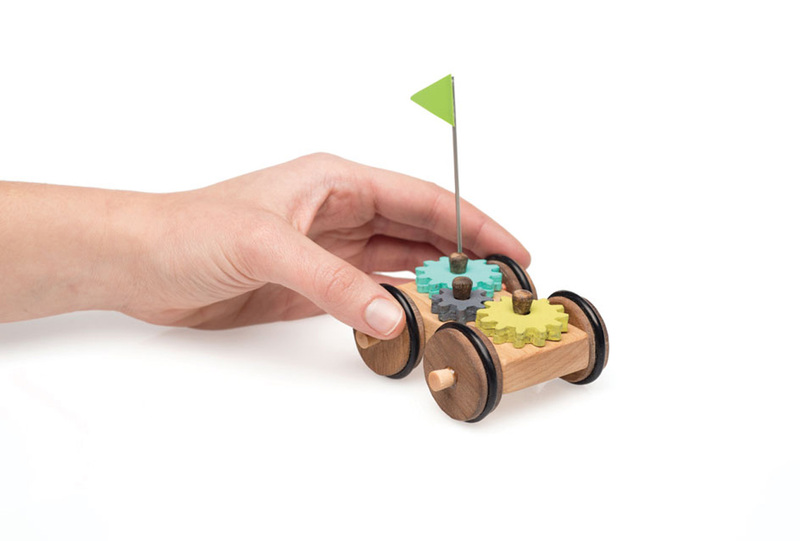 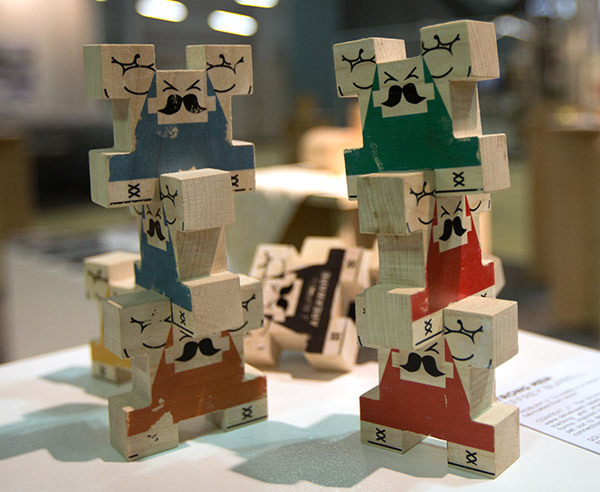 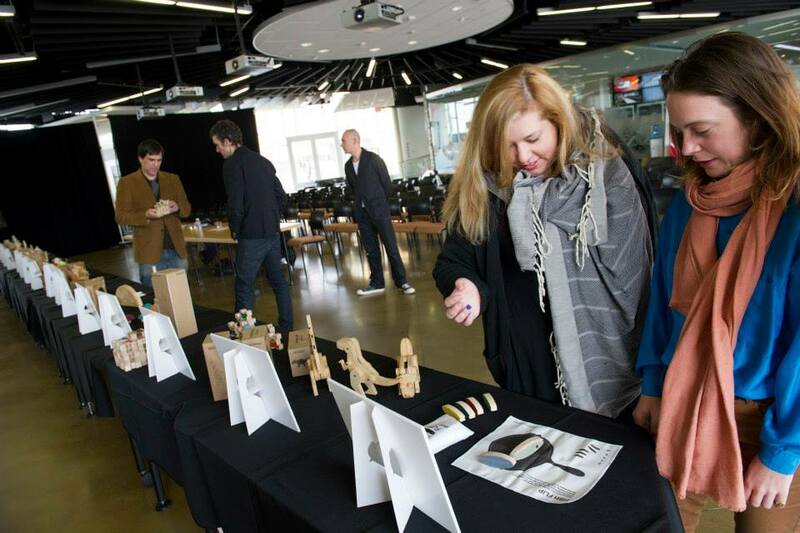 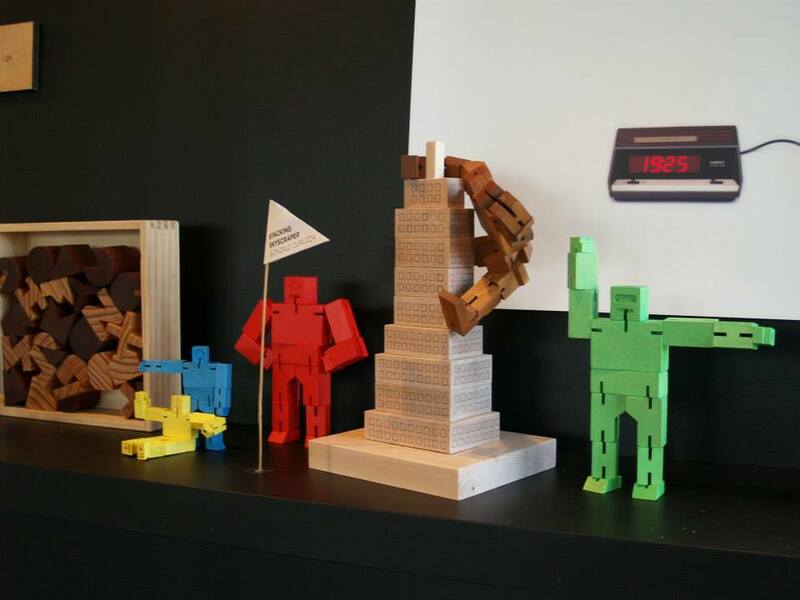 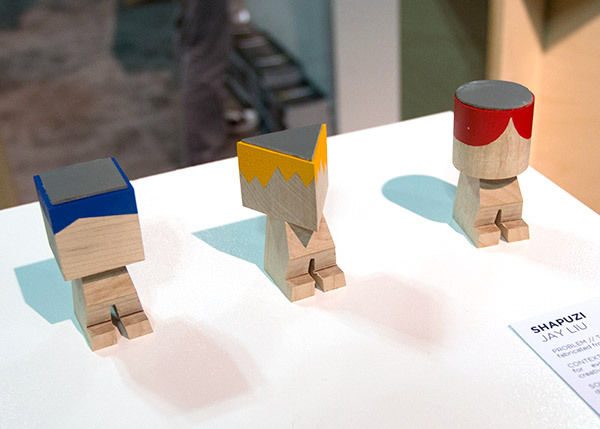 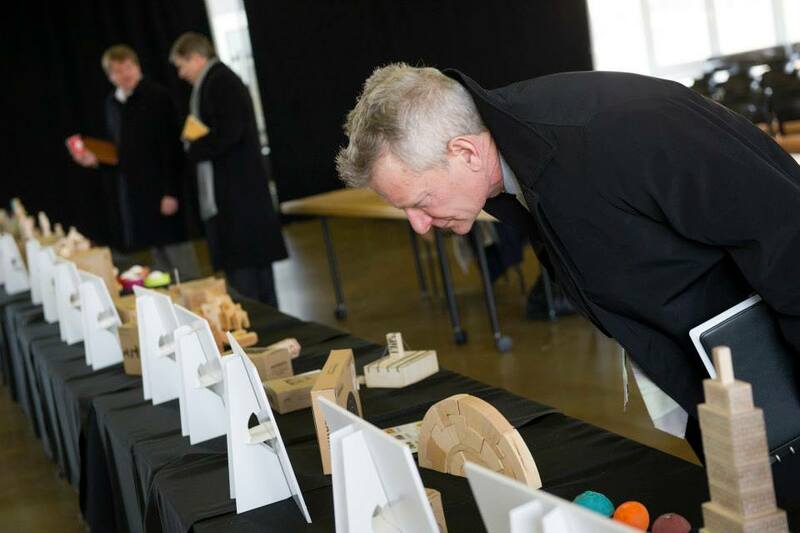 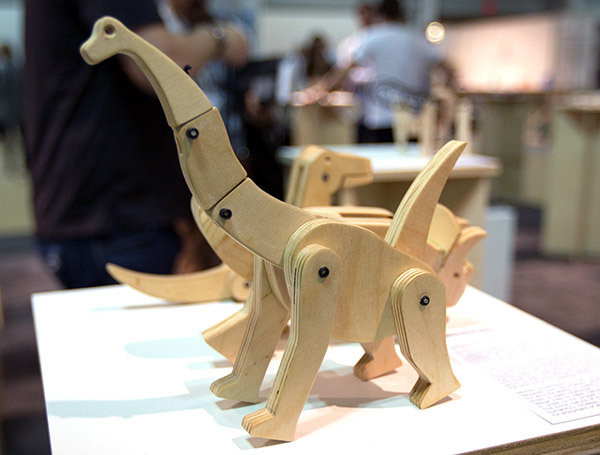 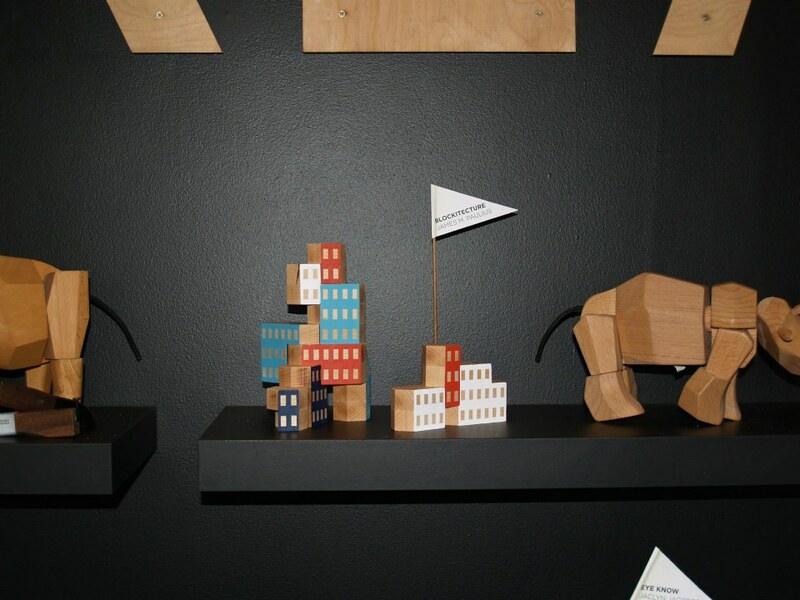 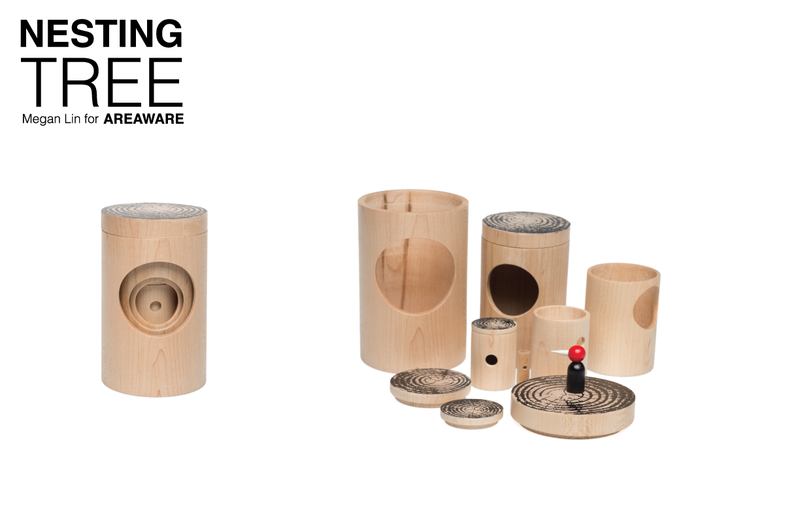 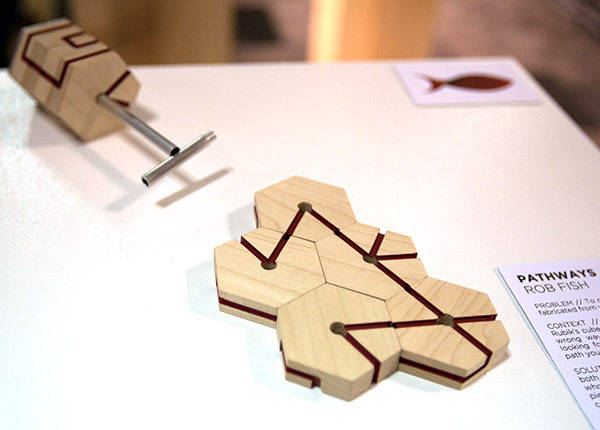 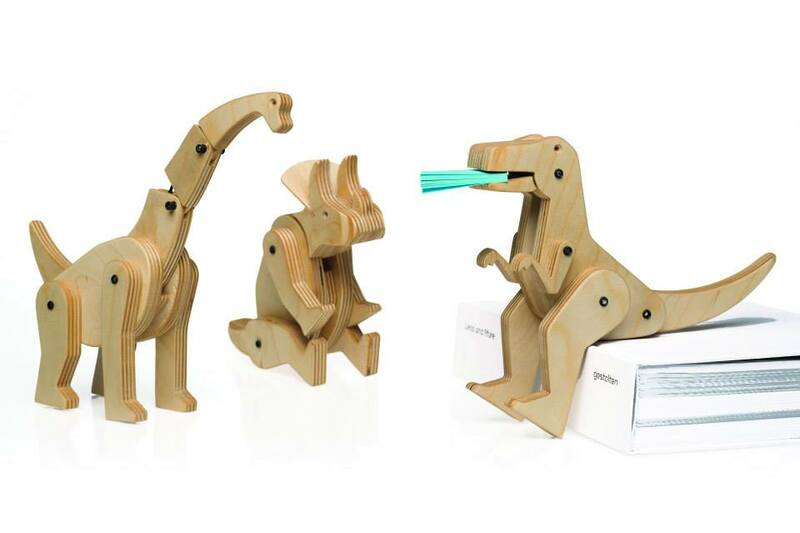 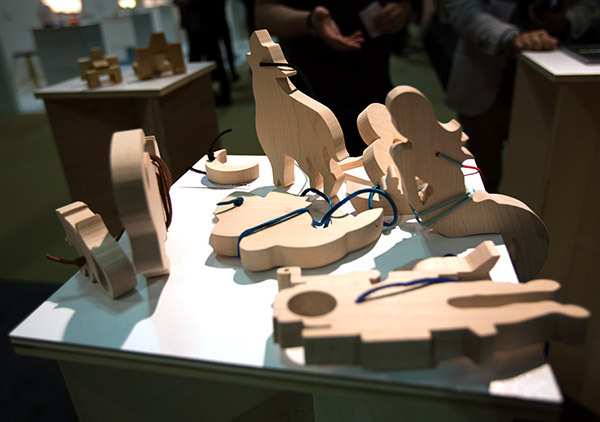 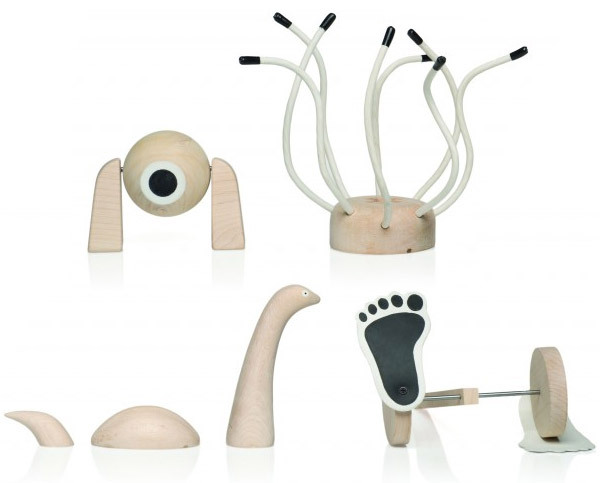 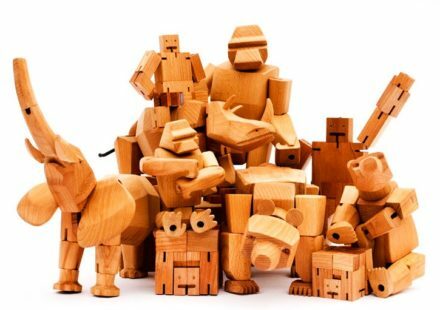 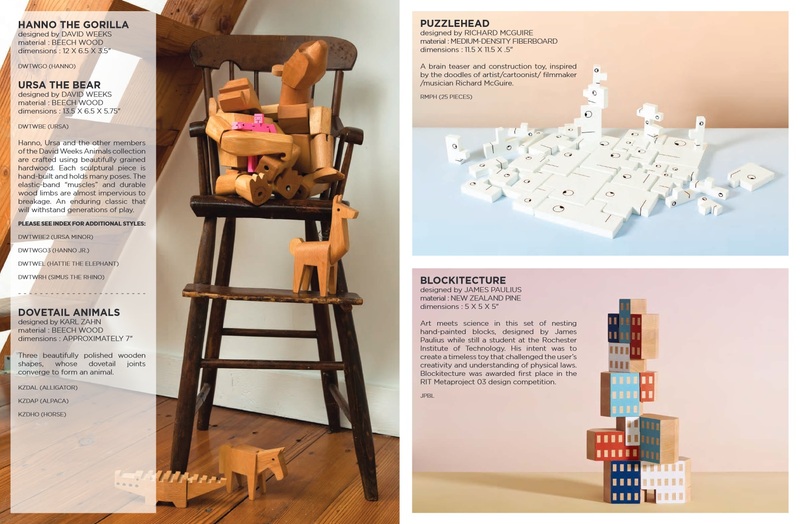 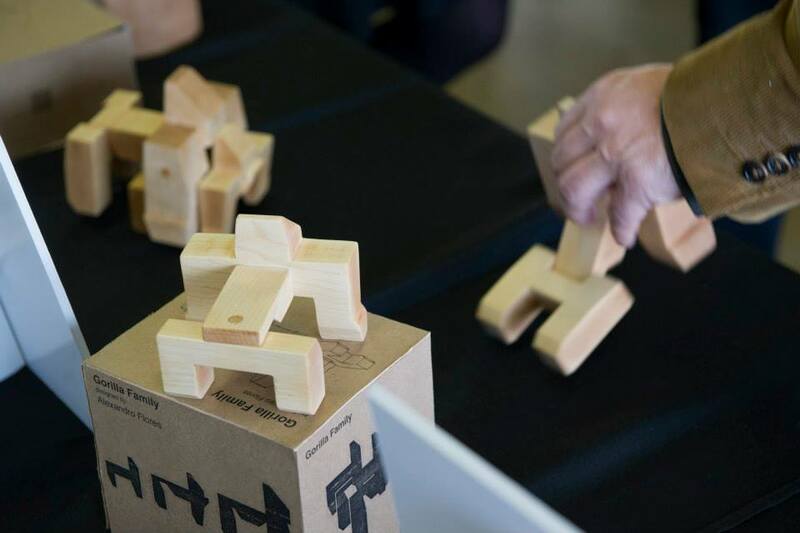 Students from the RIT School of Design explored the properties of wood, and created a collection of wooden toys for AREAWARE that explores the concept of “universal toy” – geared towards adults. 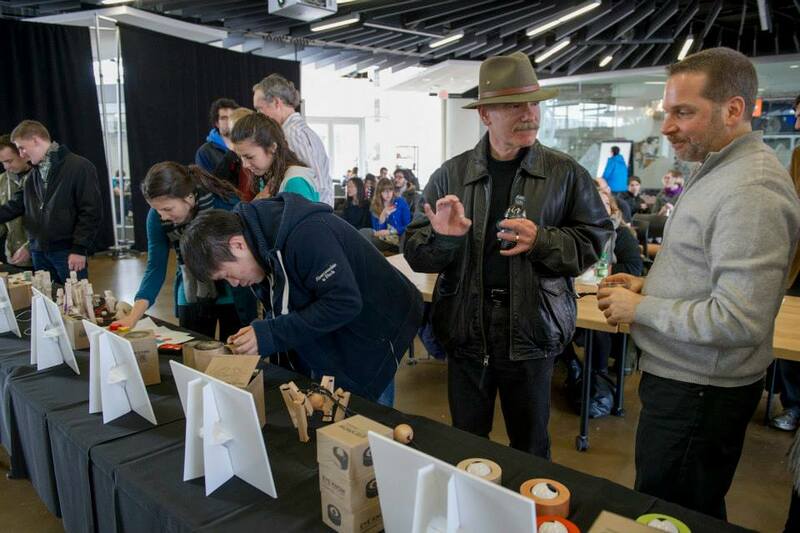 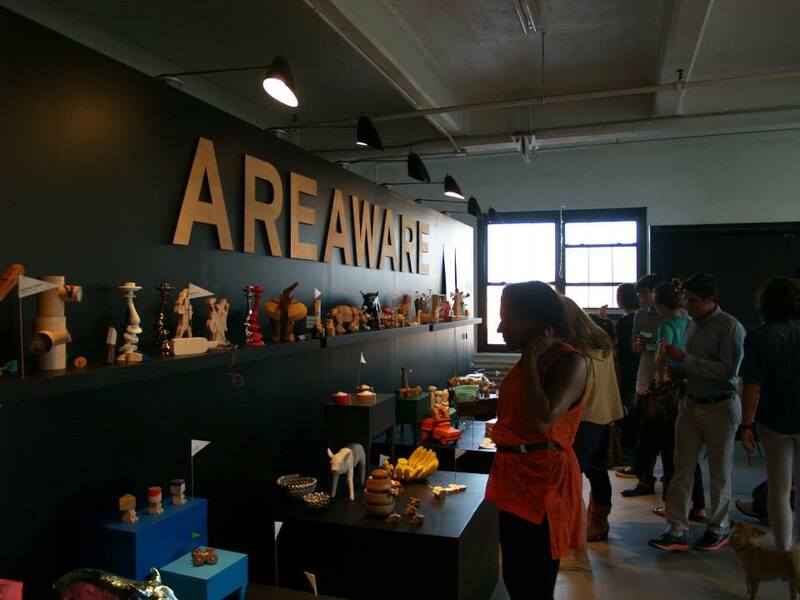 Instead of focusing on grades and theoretical concept projects, students were able to woo AREAWARE with their concepts, two of which were chosen to be manufactured and sold. 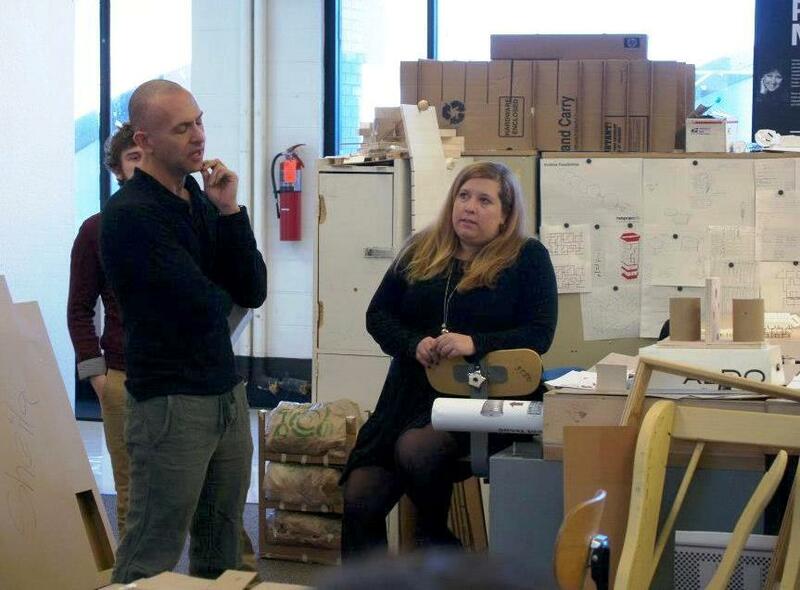 Throughout the semester, AREAWARE‘s Creative Director, Laura Young, visited the RIT class several times to guide students on the exploration of wood properties and toy design. 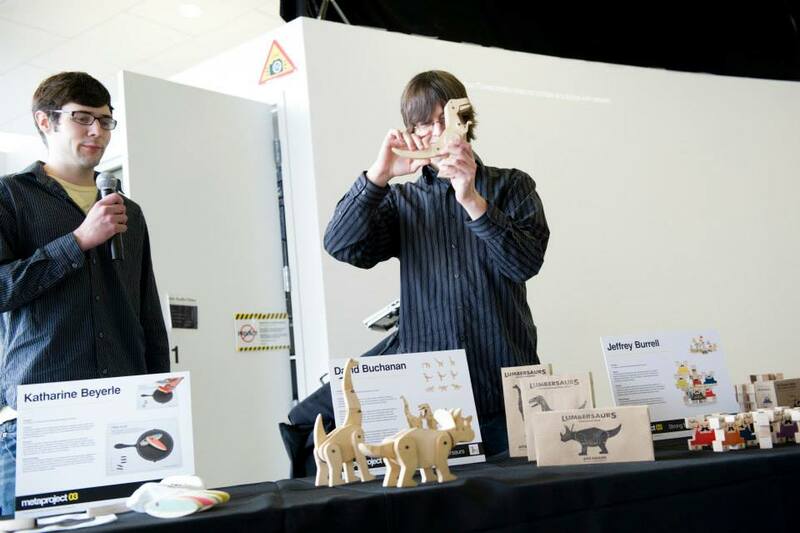 Students designed and produced high-quality, finished and functional prototypes, with materials suitable for manufacturer review. 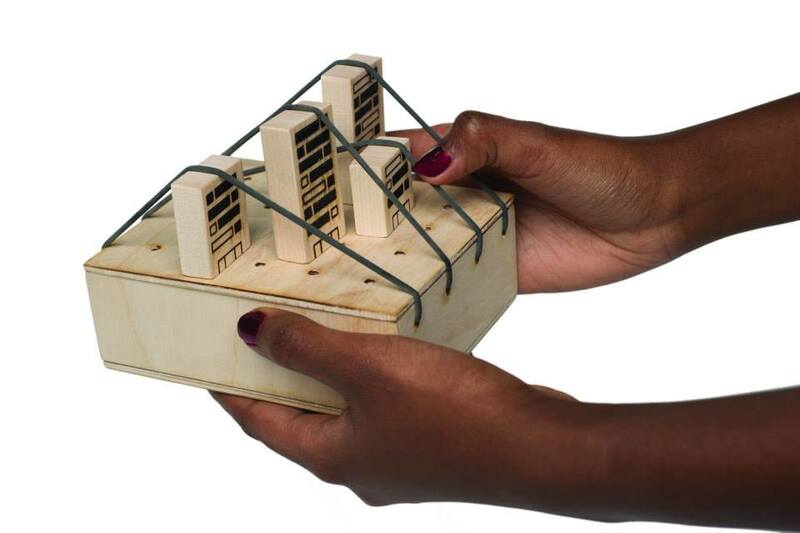 Each student was required to explore the properties of wood and its use as a primary material in object construction. 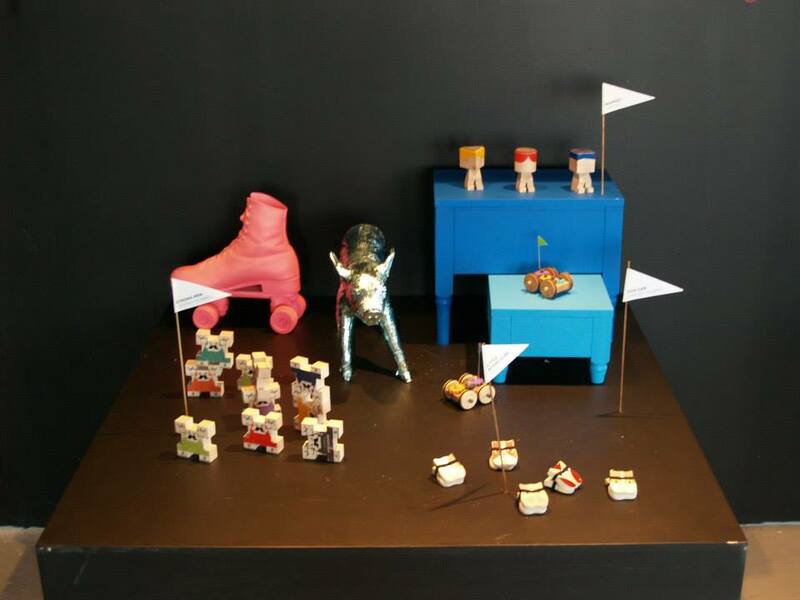 They were required to research examples of culturally specific historical and contemporary toys and to define the meaning of Universal Toy. 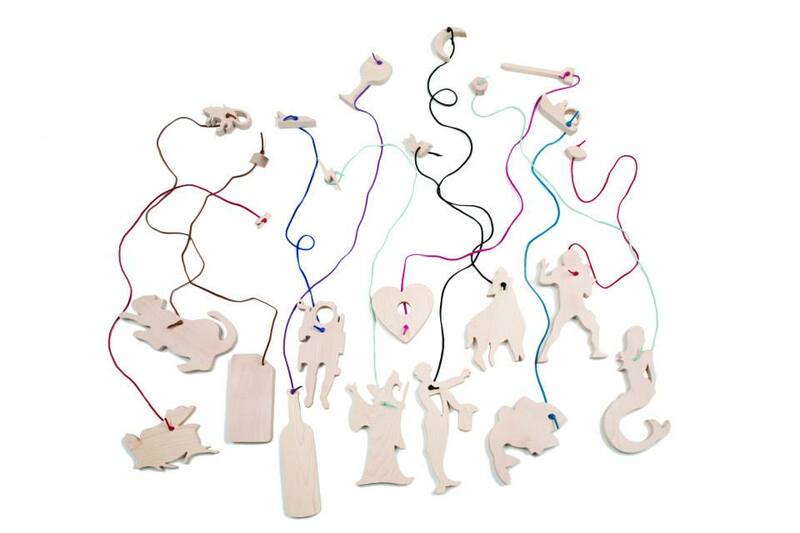 Ultimately each student will select and research a specific object typology in the domestic sphere and a specific cultural / situational context and respond with an inventive proposal that explores the meaning and notion of how toys integrate into contemporary cultures and lifestyles. 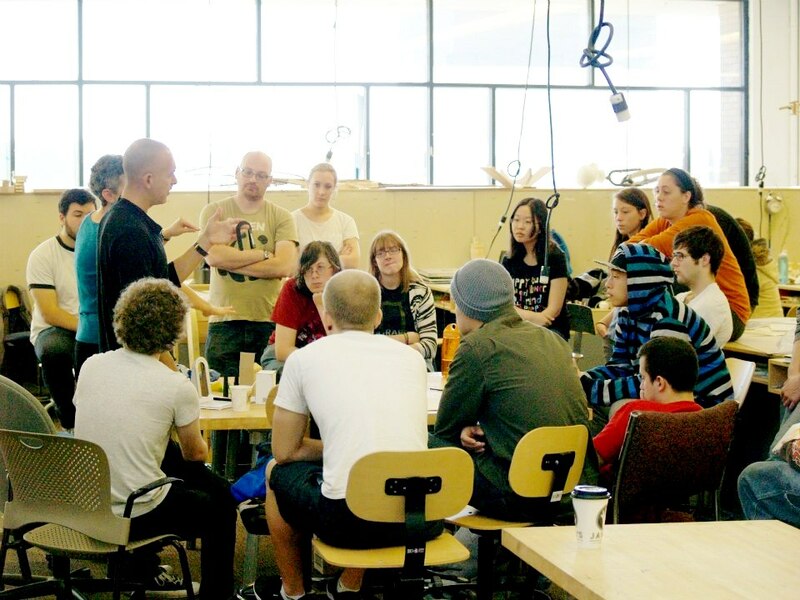 This workshop challenged the student to create a useful and emotive product that argues for a new interplay between user and object to expand and challenge our collective understanding of the way behaviors influence outcomes in the physical landscape. 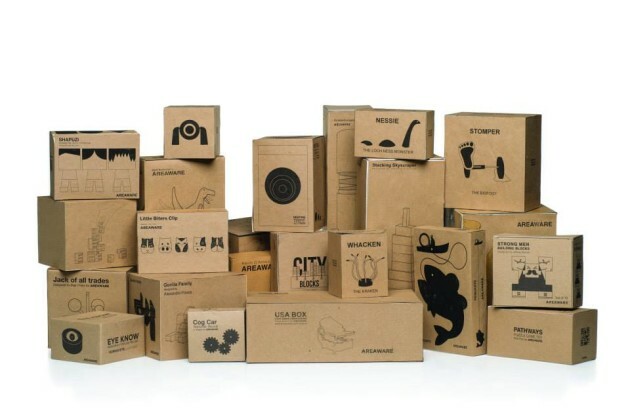 The objects should be specifically designed in response and in reaction to the contemporary conditions of their object classifications. 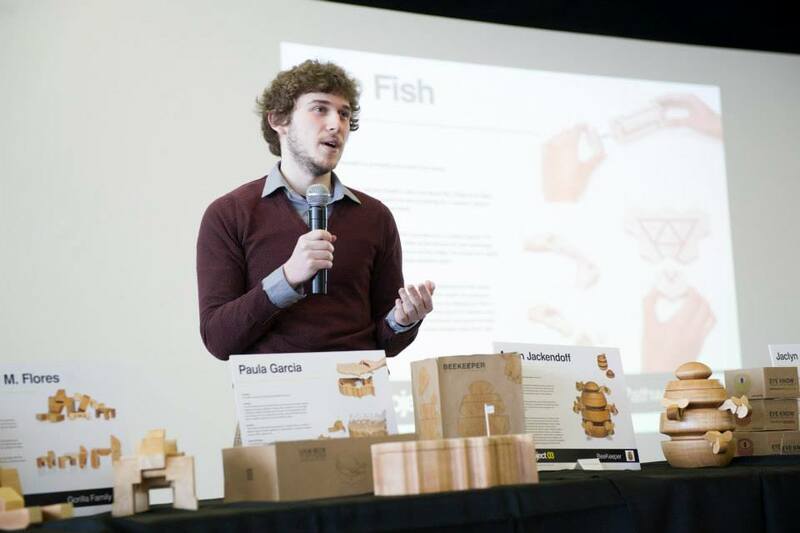 Students designed and produced a high-quality, finished and functional prototype from actual materials using available on and off-campus resources. 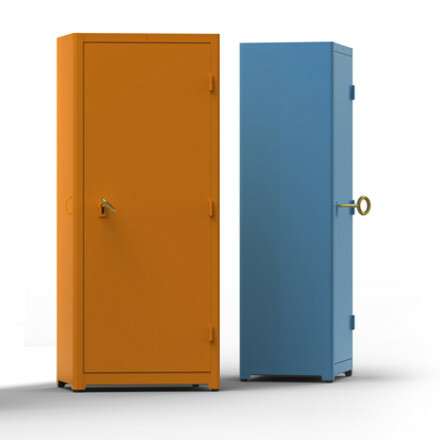 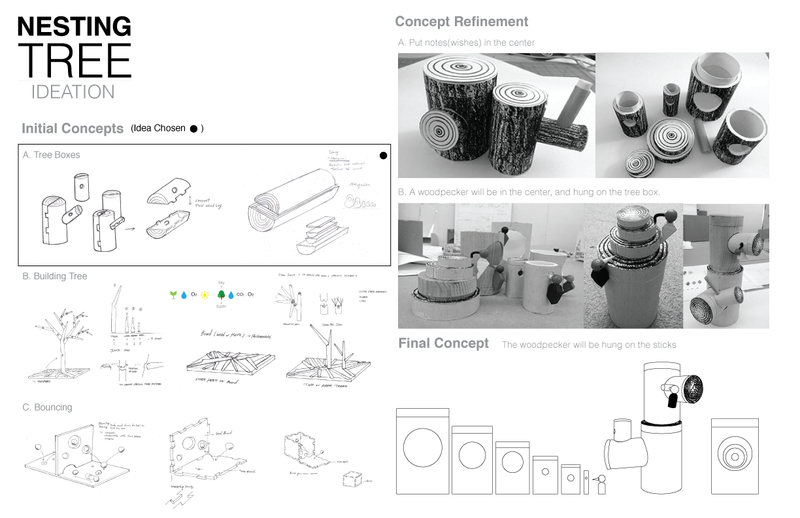 They were expected to carefully archive the process and document the final product with design-control drawings suitable for manufacturer review, graphically compelling use-scenarios and the written word to convey their overall concept. 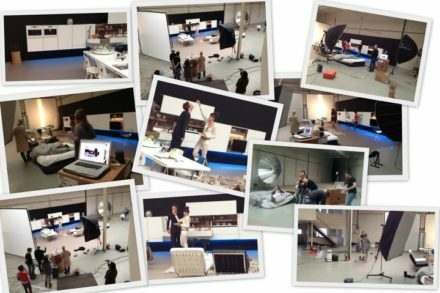 Students were given the opportunity to art-direct the final documentation of the product using a professional product photographer to deliver press-quality communication materials. 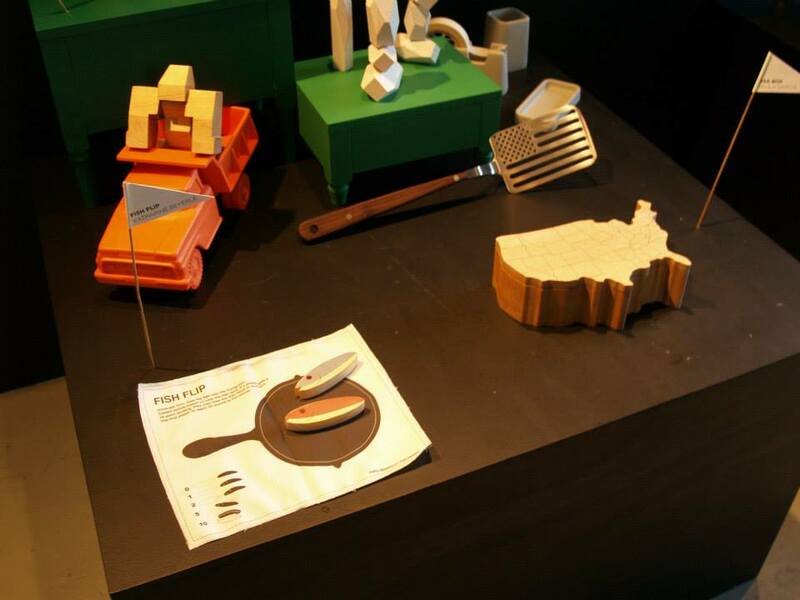 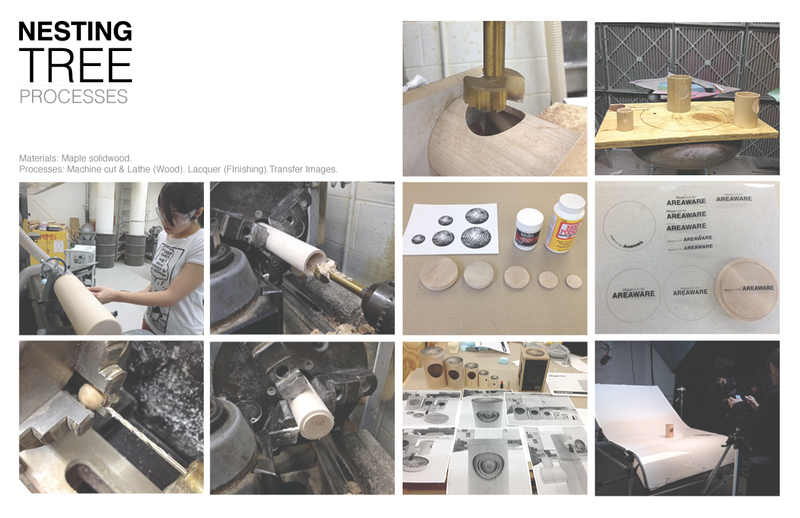 Selecting and researching a specific object typology in the domestic sphere and a specific cultural/situational context, each student responded with an inventive proposal. 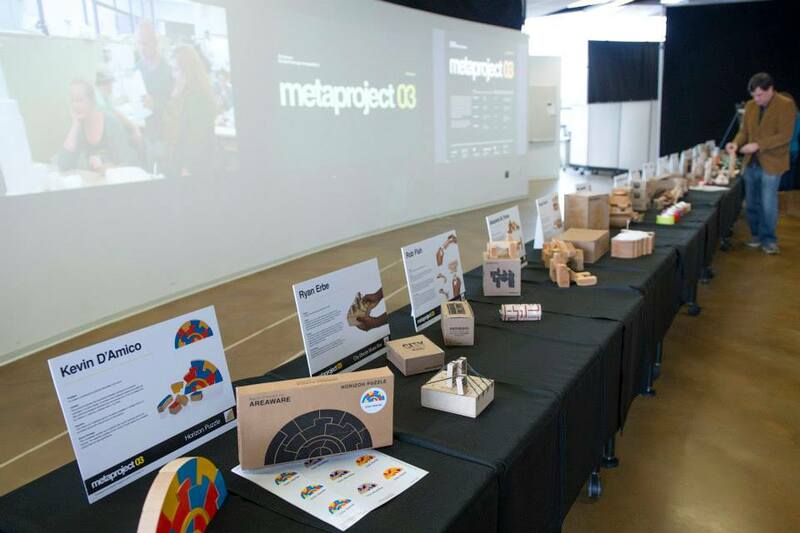 The Metaproject 03 Student Design Competition event was held on Feb 8th in the Center for Student Innovation at RIT where each student presented their concepts for a universal toy to AREAWARE. 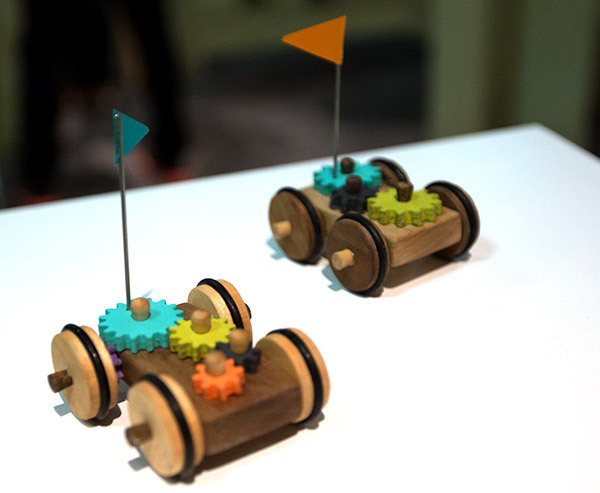 Students then responded with inventive proposals to explore the meaning and notion of the way toys integrate into contemporary cultures and lifestyles. 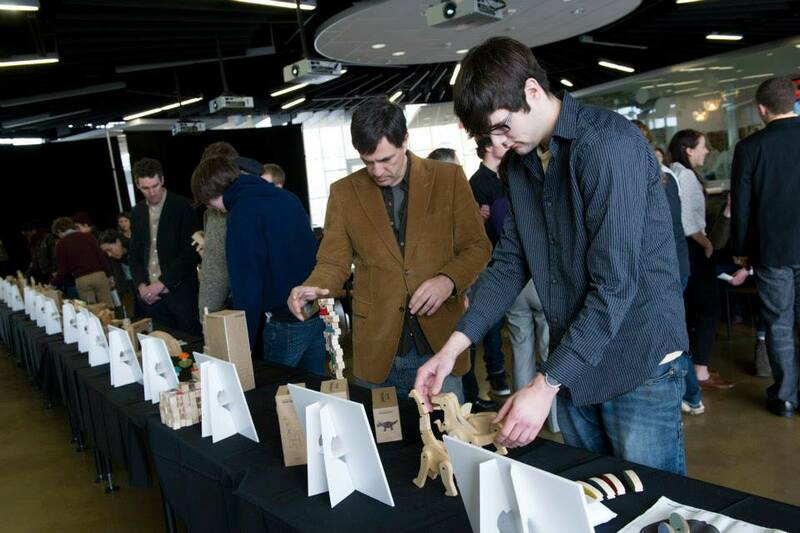 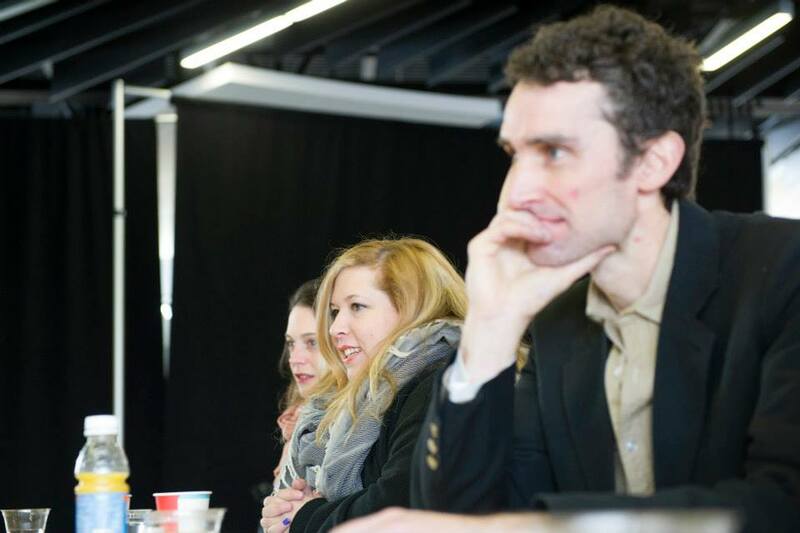 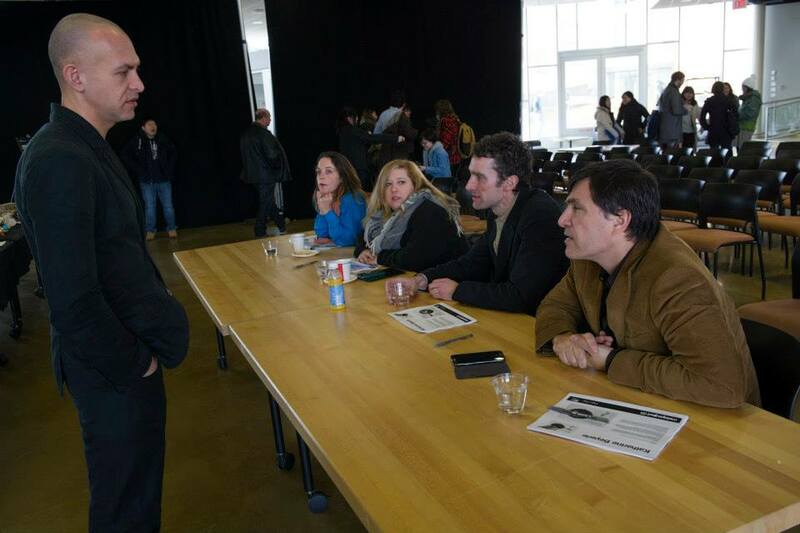 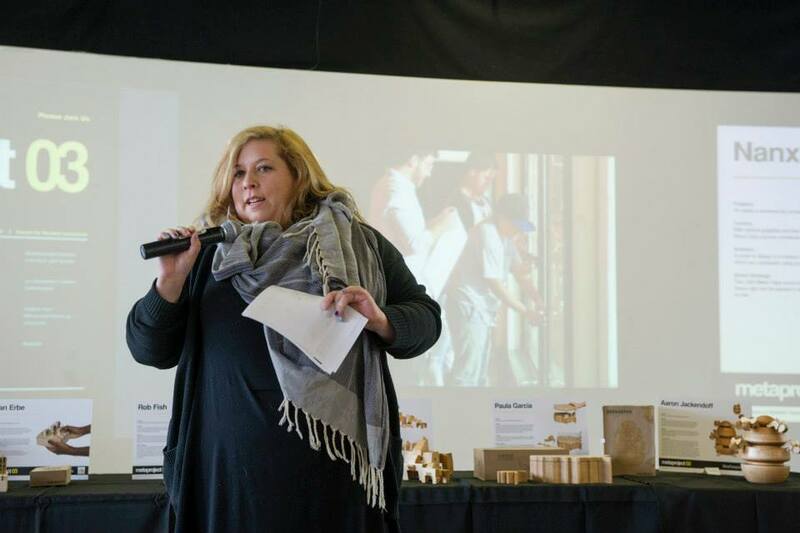 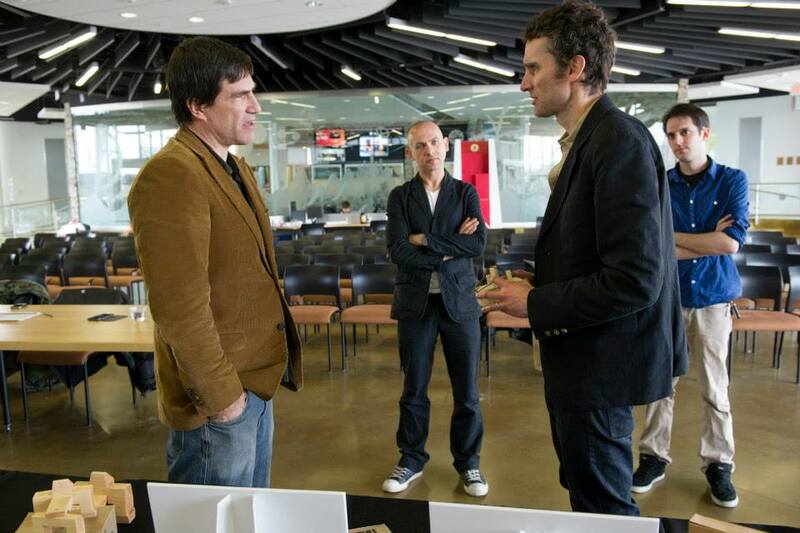 The course results were juried by the sponsor’s leadership and by distinguished industry leaders. 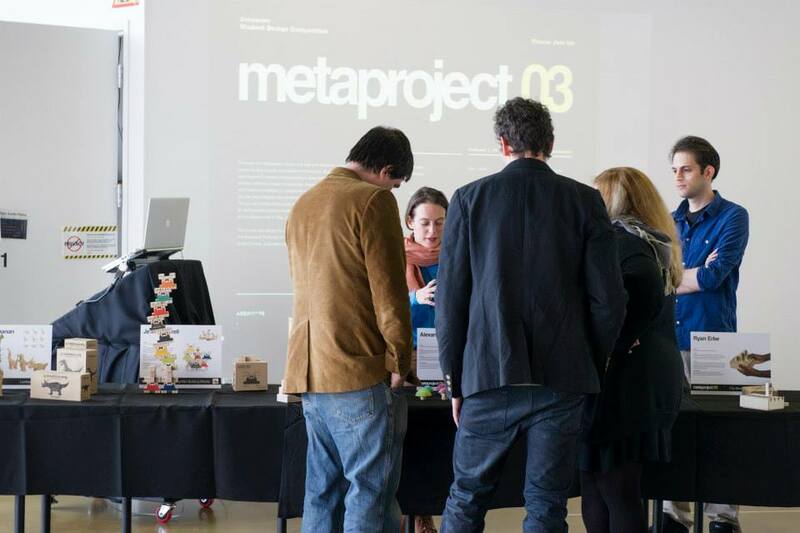 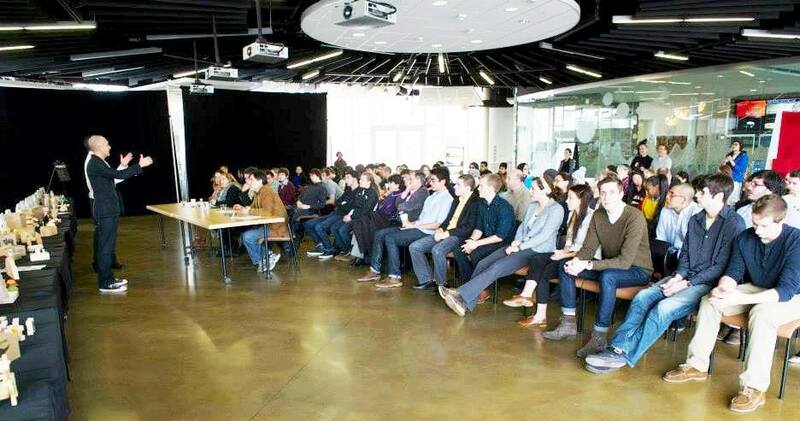 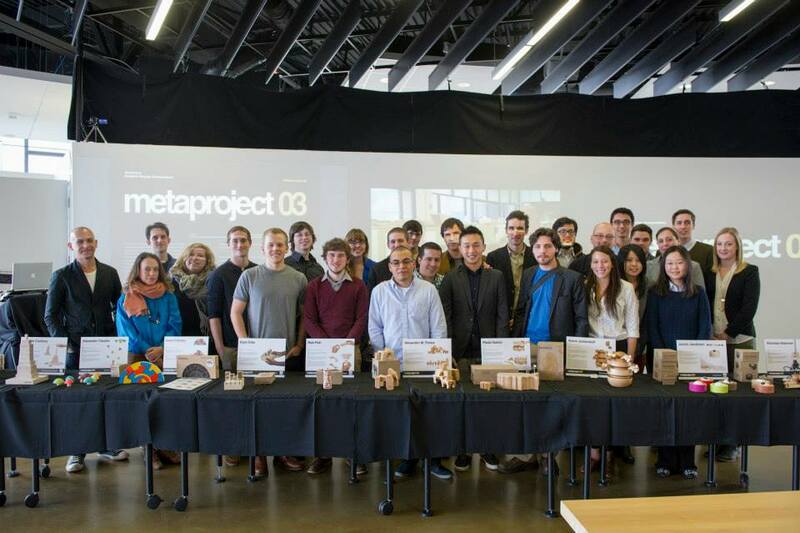 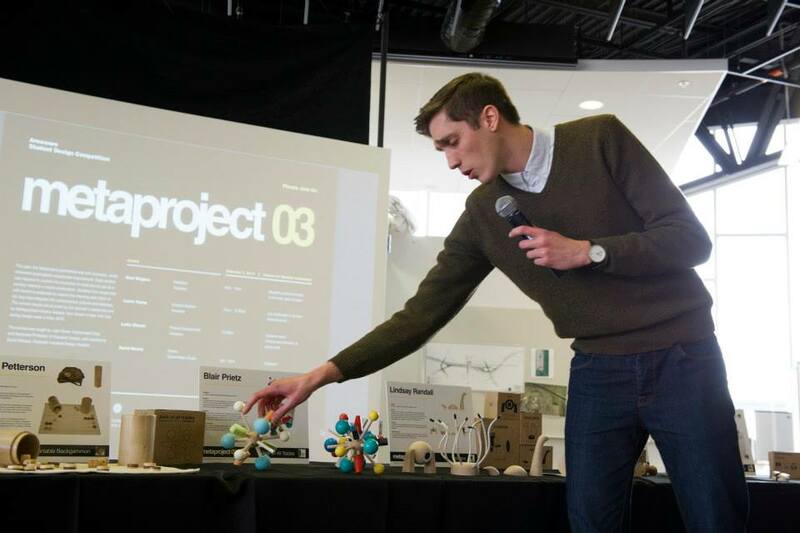 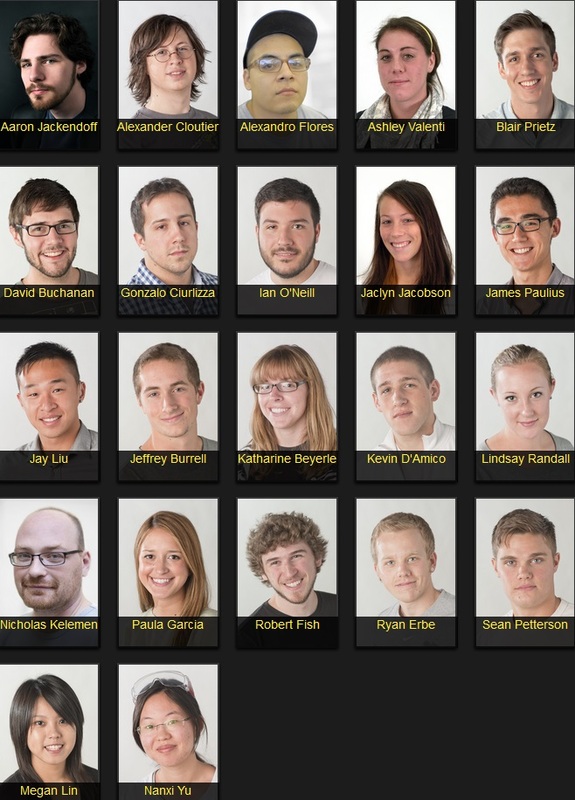 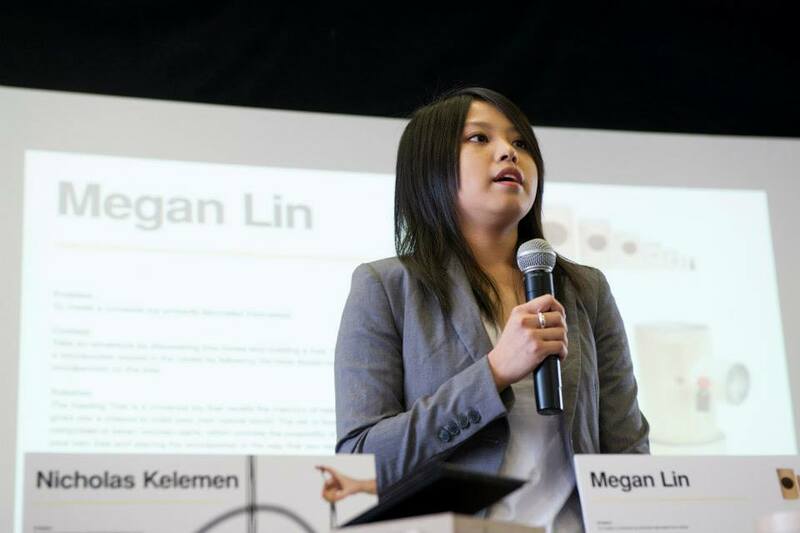 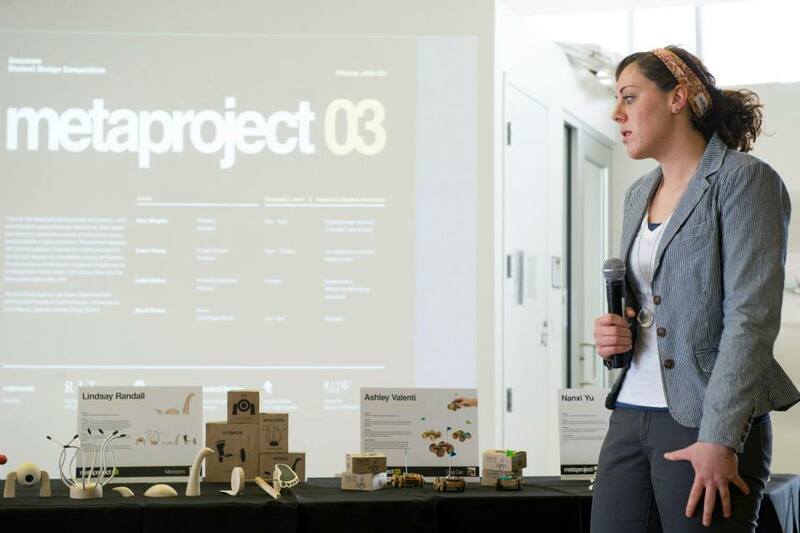 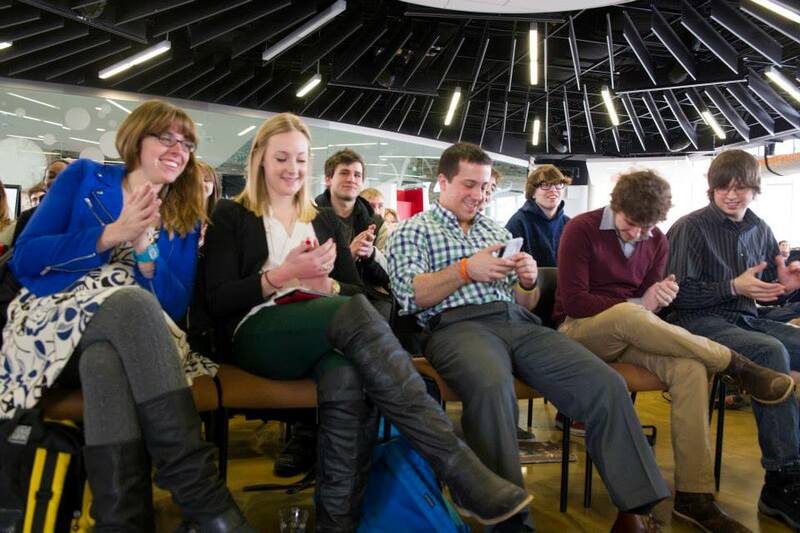 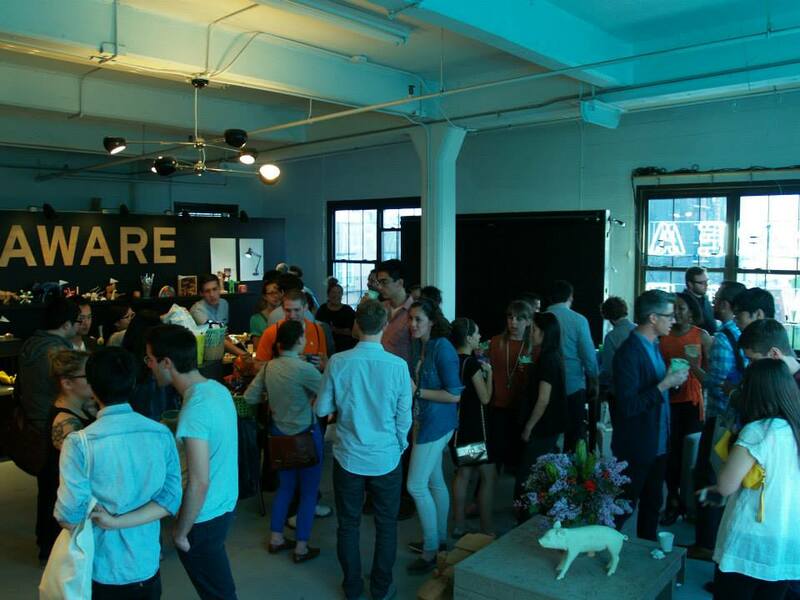 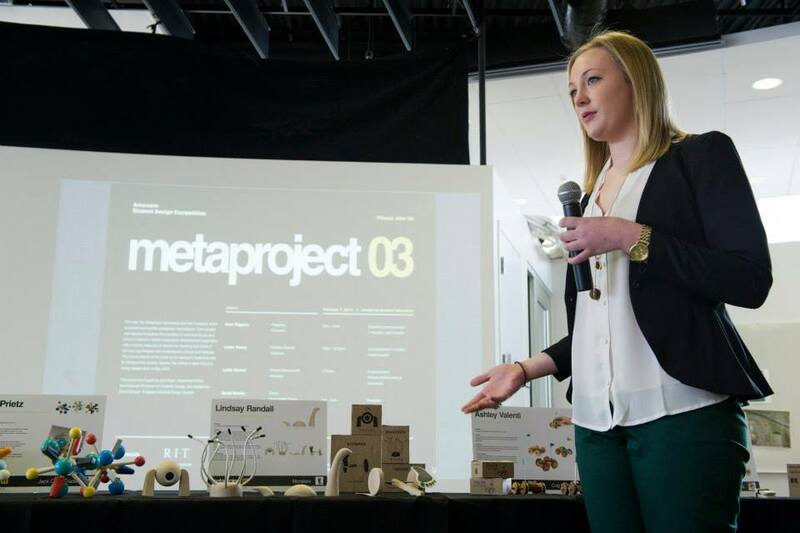 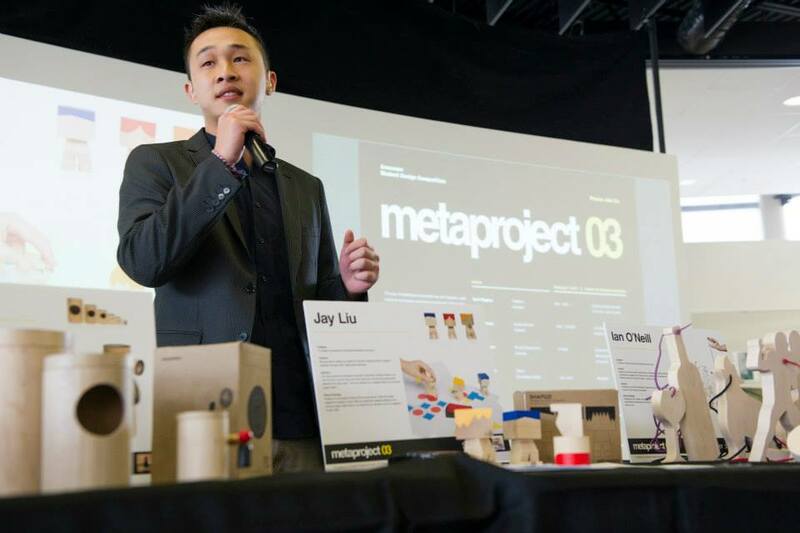 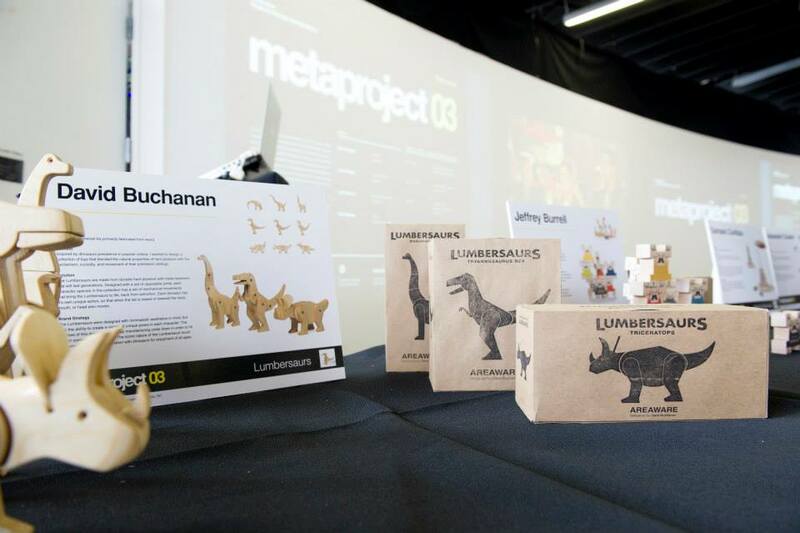 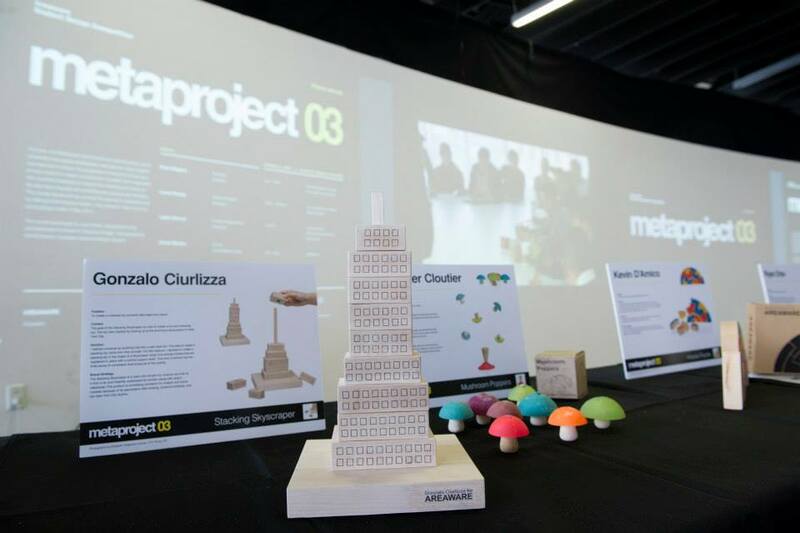 Congratulations to all the Metaproject 03 student presenters, winners, and runners-up! 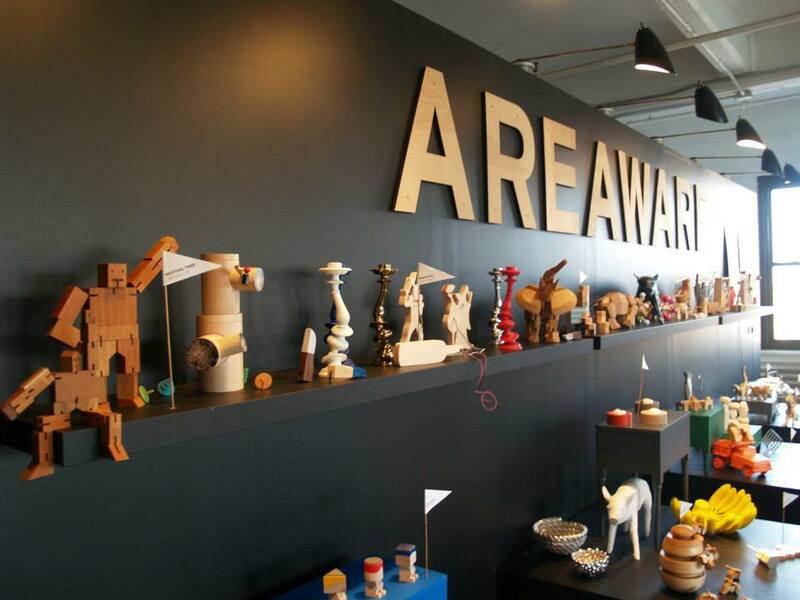 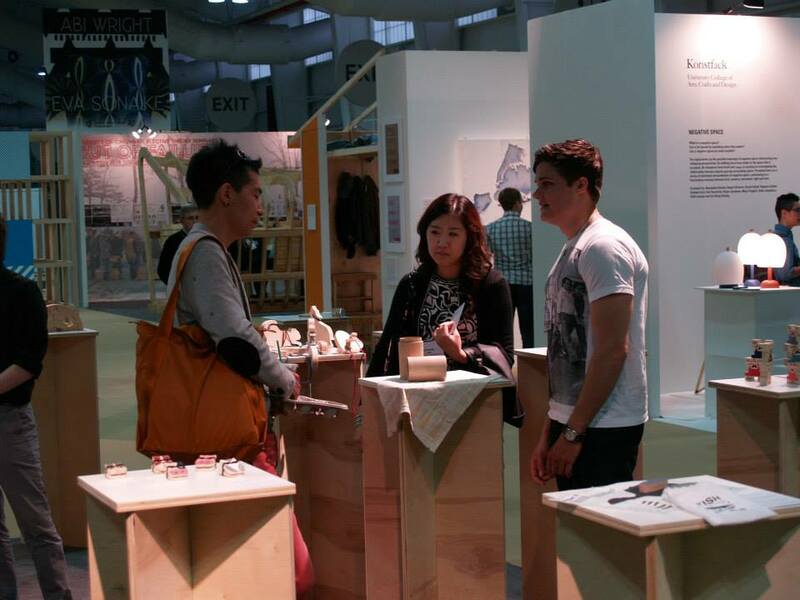 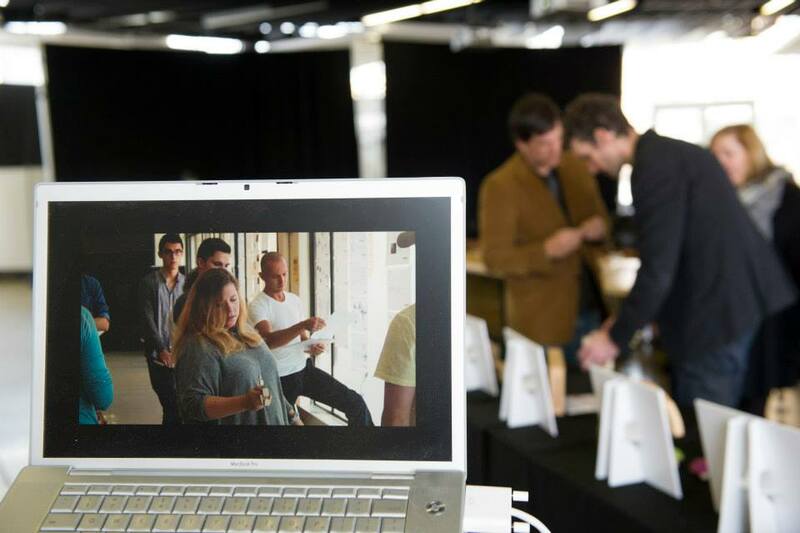 The selected winners will now have their products potentially put into production and sold in the AREAWARE line. 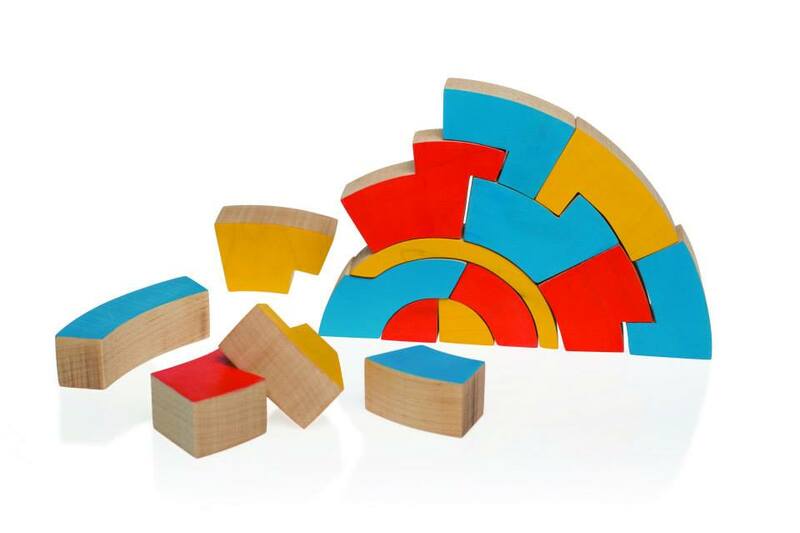 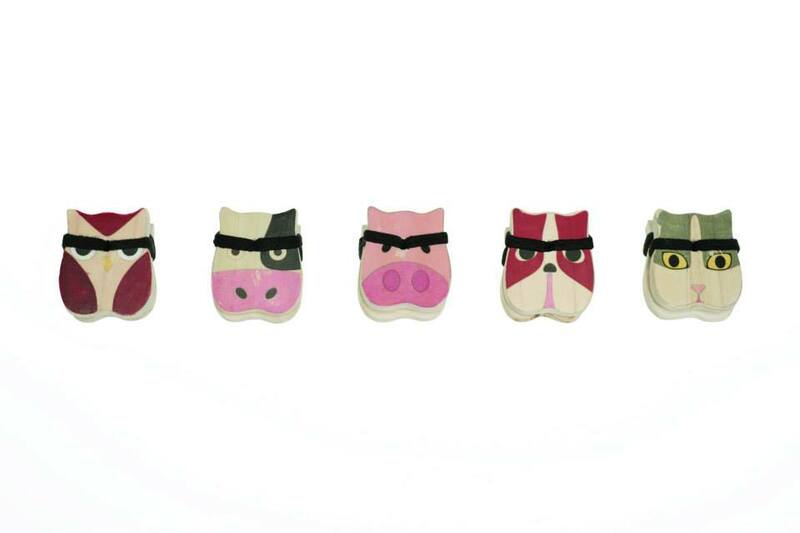 Art meets science in this set of nesting hand-painted blocks. 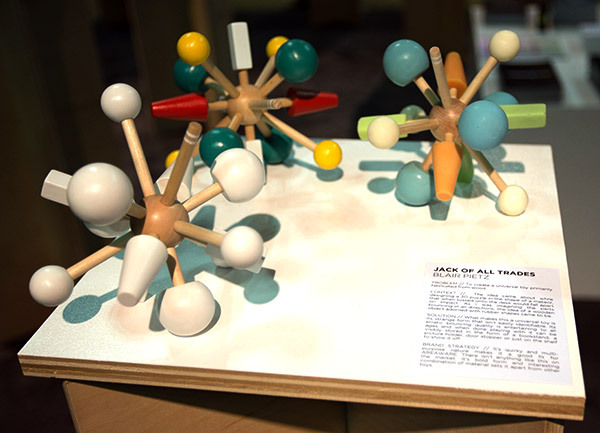 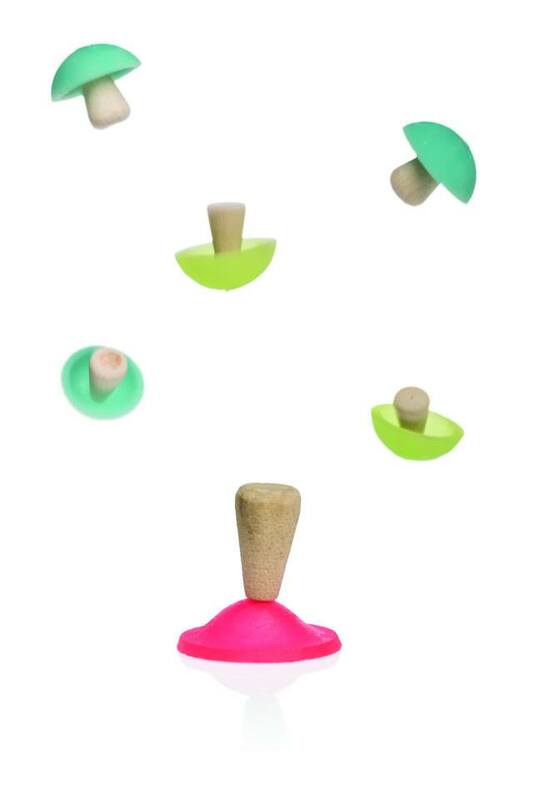 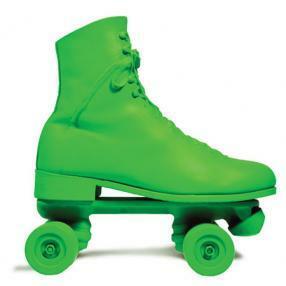 The designer’s intent was to create a timeless toy that challenges the user’s creativity and understanding of physical laws. 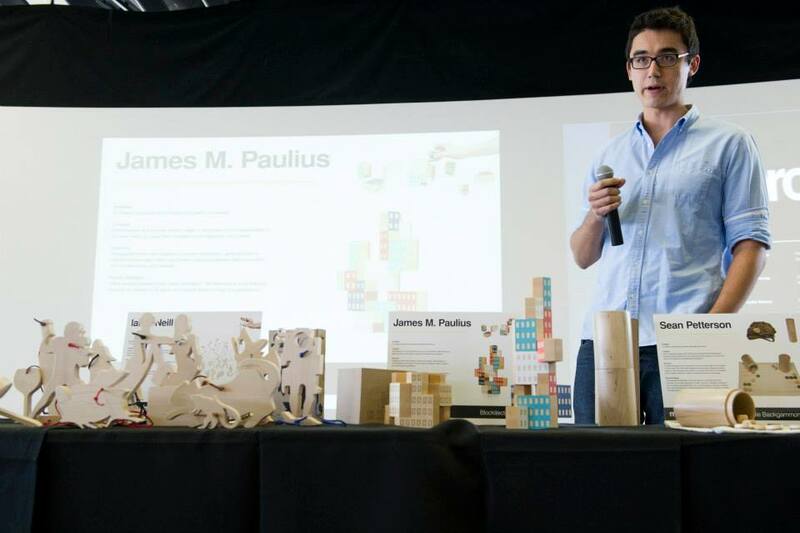 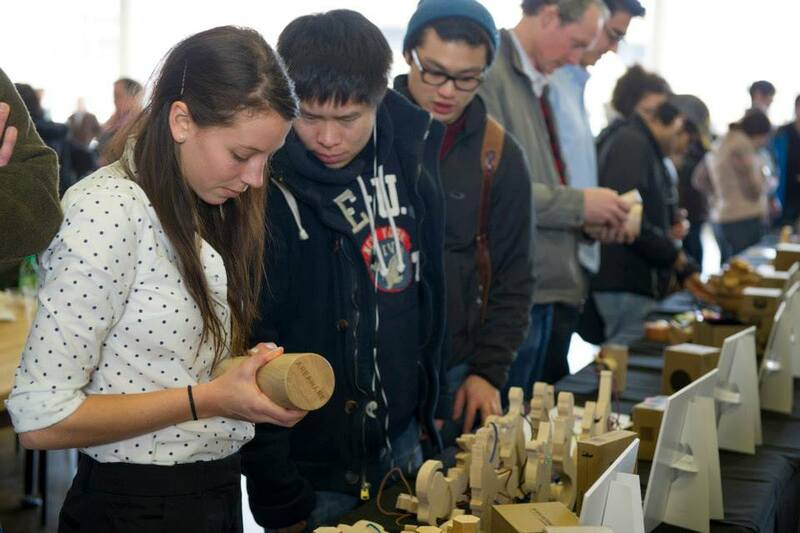 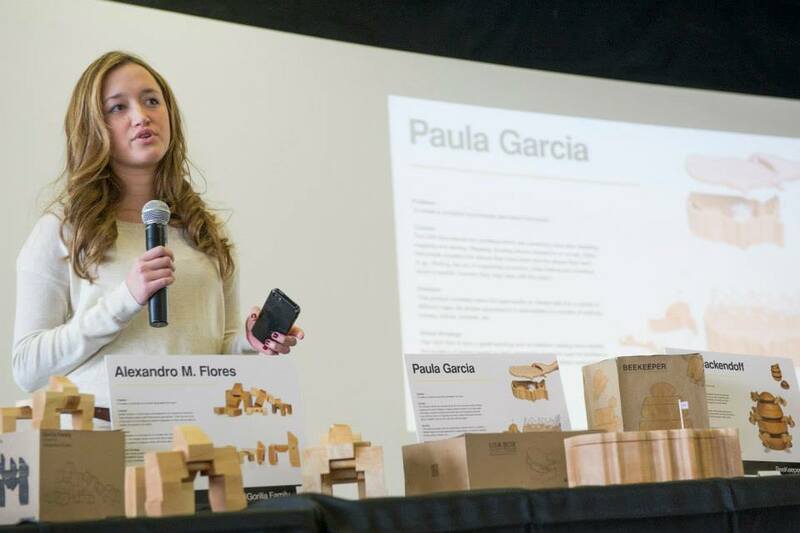 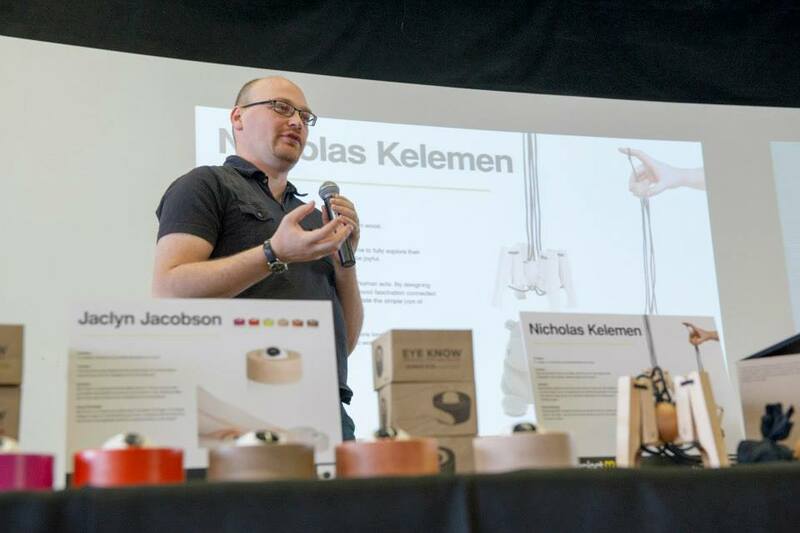 The work of all 22 students enrolled in this senior level industrial design studio course was shown at this year’s International Contemporary Furniture Fair (ICFF) in the Jacob Javits Center. 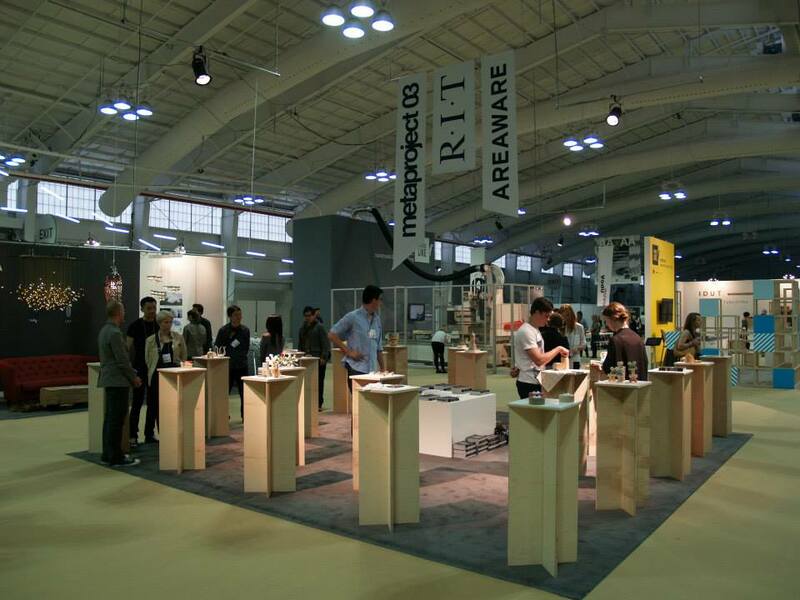 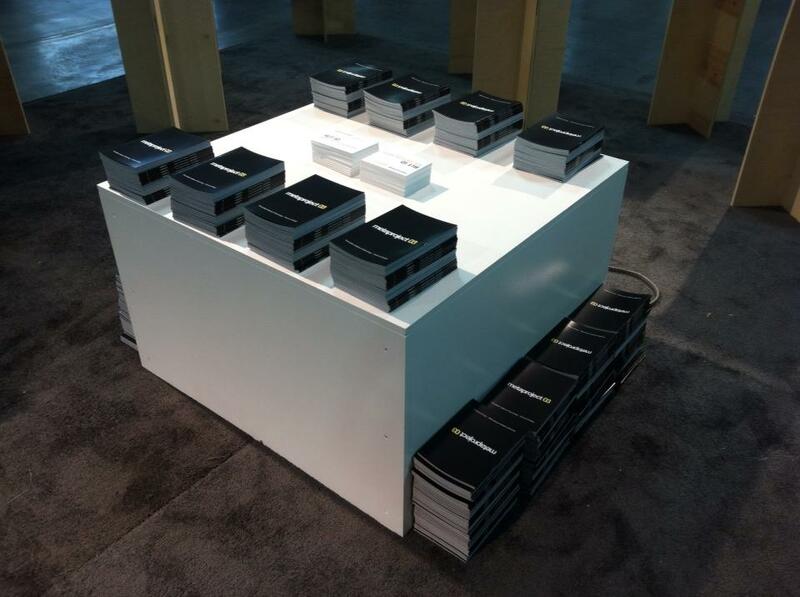 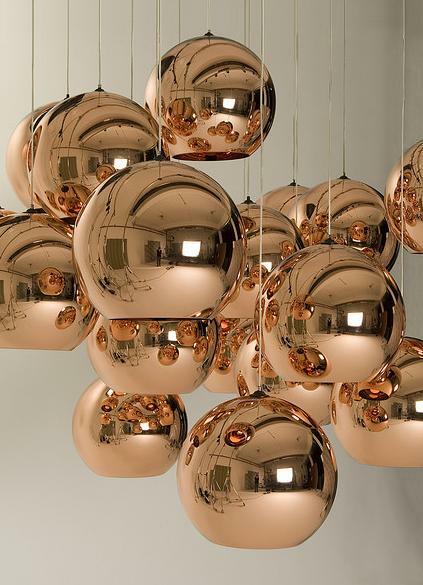 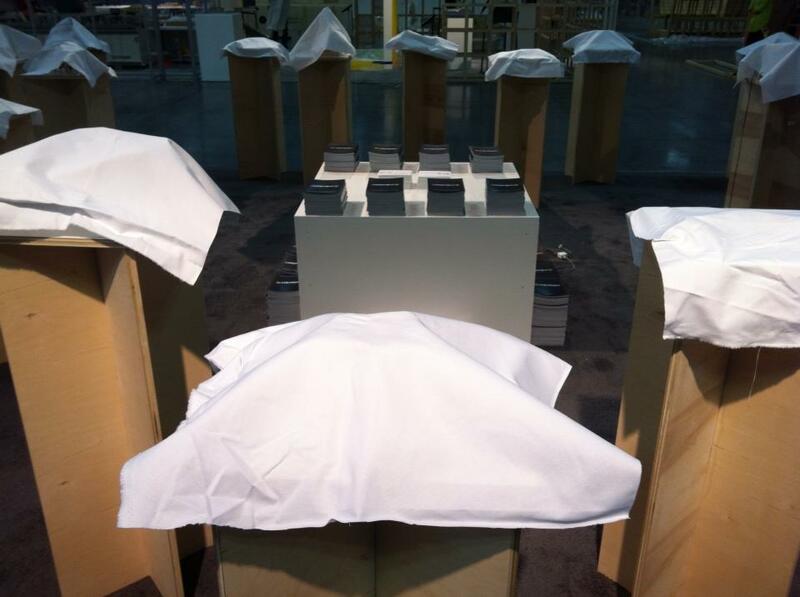 2013 ICFF Show, at booth 2916. 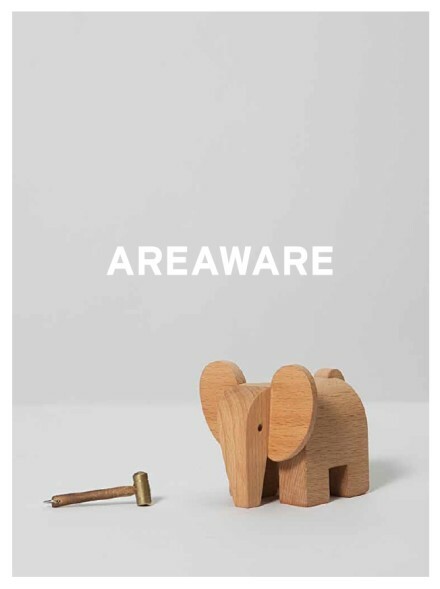 AREAWARE is the Williamsburg, Brooklyn, based producer of everyday objects that are mindful, functional and unusual. 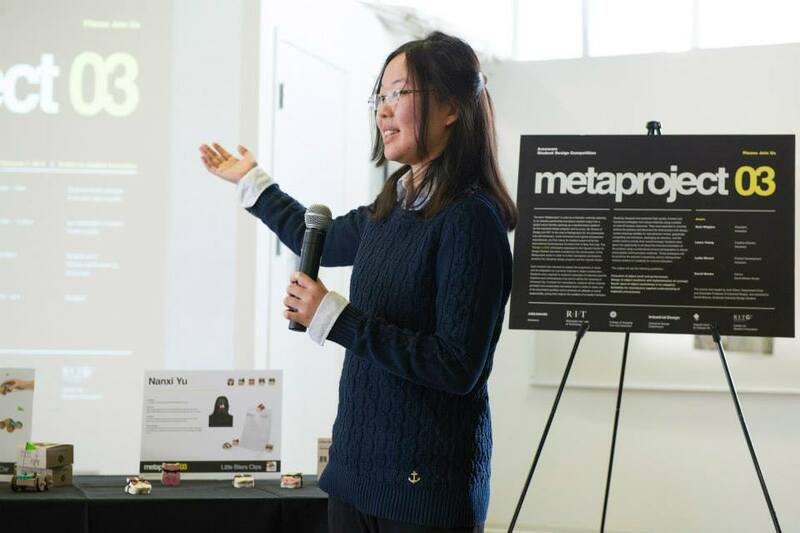 Our goals are to create thoughtful products that inspire an emotional response and to explore design languages as a means of creating new forms. 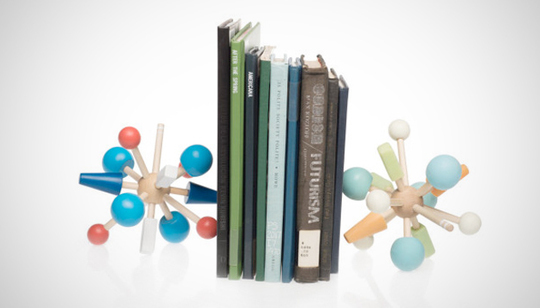 We like to think we have a good sense of humor and that our objects are poetic. 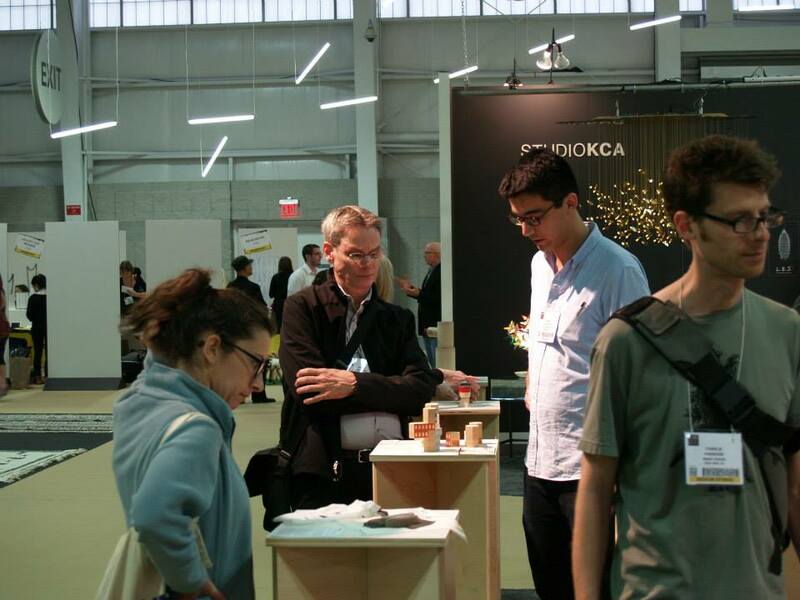 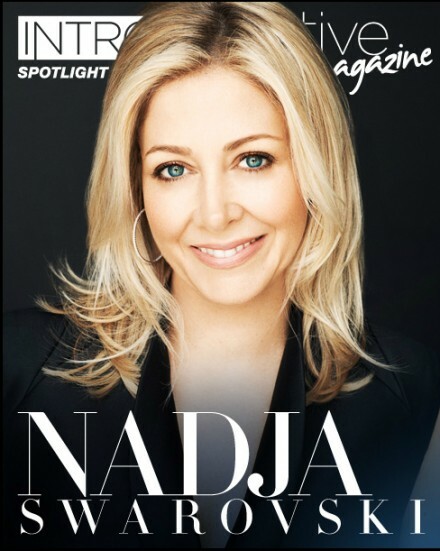 We wish to create a forum for young and local talent and together become a strong voice for American design. 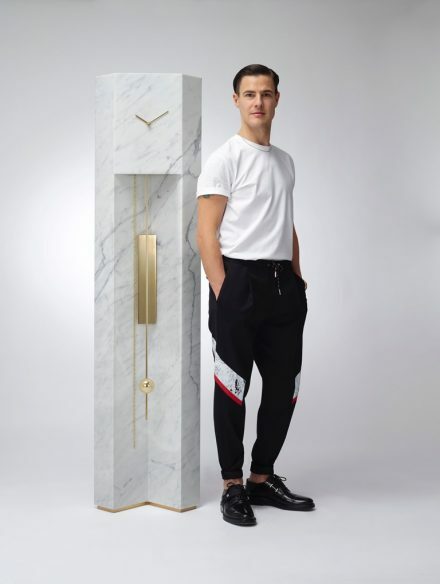 We believe that appreciation for beauty is central to what it means to be alive and want to embody this principle in even the simplest things. 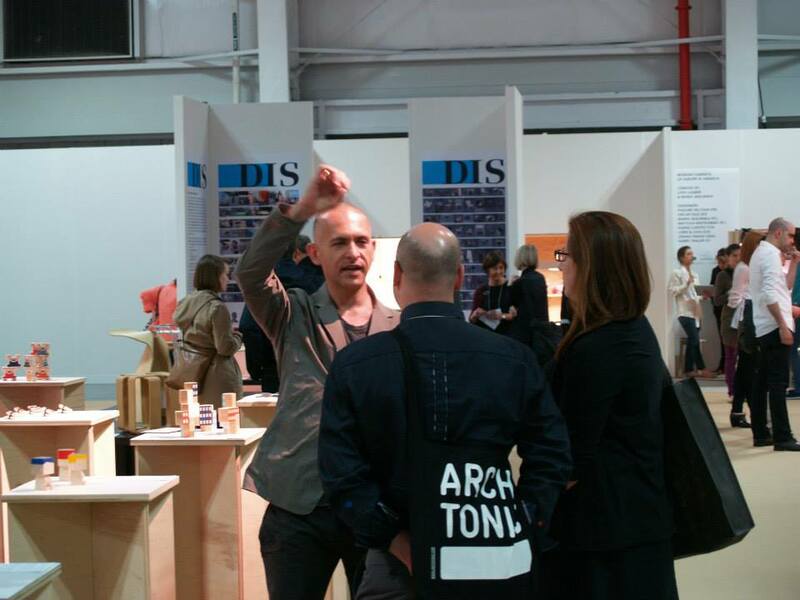 This isn’t Style Week; it’s Design Week.